To say that this post is long overdue…would be a huge understatement. If procrastinators anonymous was a thing, I might be willing to lead that group. Or I’d procrastinate and ask someone else to be the leader. It’s a combination of procrastination and not enough hours in the day. LOL. Anyway, HERE we are many moons later. 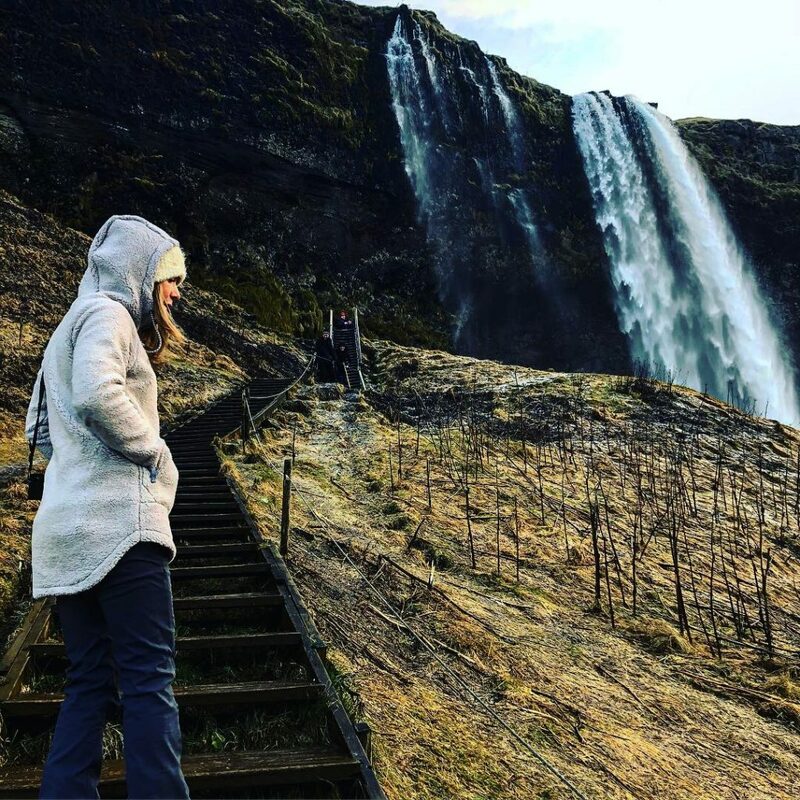 And I’m SO ready to share our trip to Iceland. Let’s get to it. We flew out of Philly and into Boston to hop on an overnight flight via Icelandair. I’m just going to throw this out there. 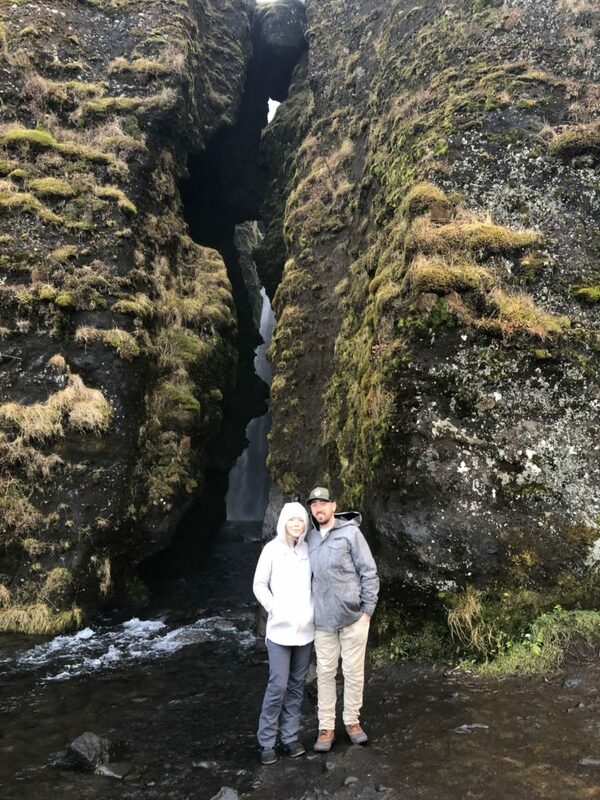 Originally, Iceland was high on my list when I found out that we could catch a direct flight out of Philly. I had booked our flights many months in advance. 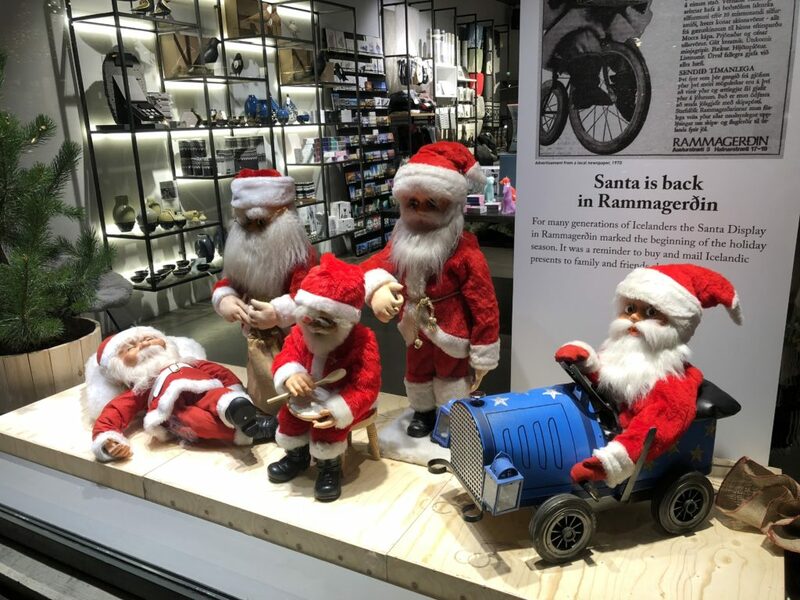 Which unfortunately allowed Icelandair enough time to cancel our direct flight. The customer service was not up to par when it came to fixing the situation. This was highly frustrating to me, because I do not love flying and I certainly would not have volunteered for the flying arrangements. Anywhoo, once we made it to Boston and got on that flight, it was a breeze. The seats were roomy and the attendants were lovely. We landed in Kevlavik around 6:00am to be shuttled to pick up our rental car which was through Greenmotion. This process was interesting as we had paid for a Jeep Renegade and ended up with a Honda CRV (we were going for bulky, heavy and safe). 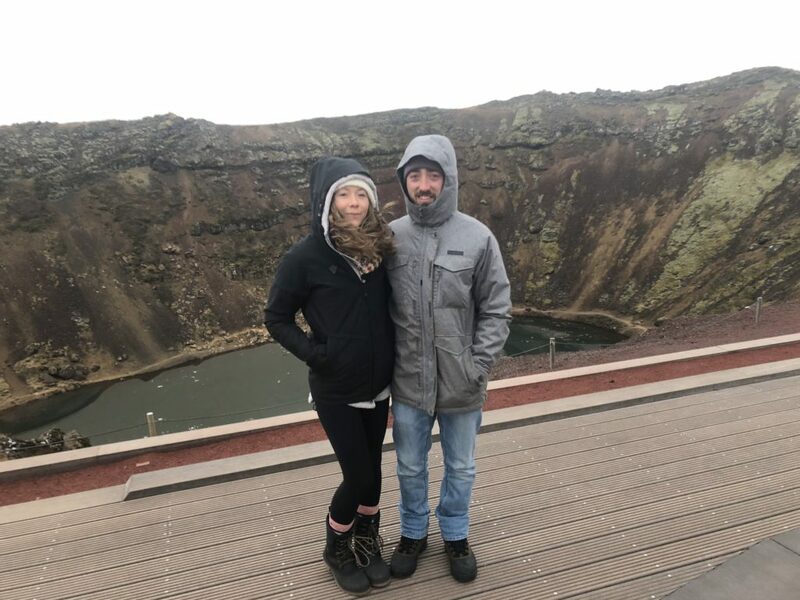 We then found out that Iceland is the third windiest place in the world (something all of the top google searches don’t really tell you, LOL). On top of that we were given a list of precautions which turned out to be quite helpful. Helpful driving tips: always keep an eye on the weather when driving. We were there when a pretty bad storm hit so we made sure to stay off of the roads when the weather was at it’s peak. 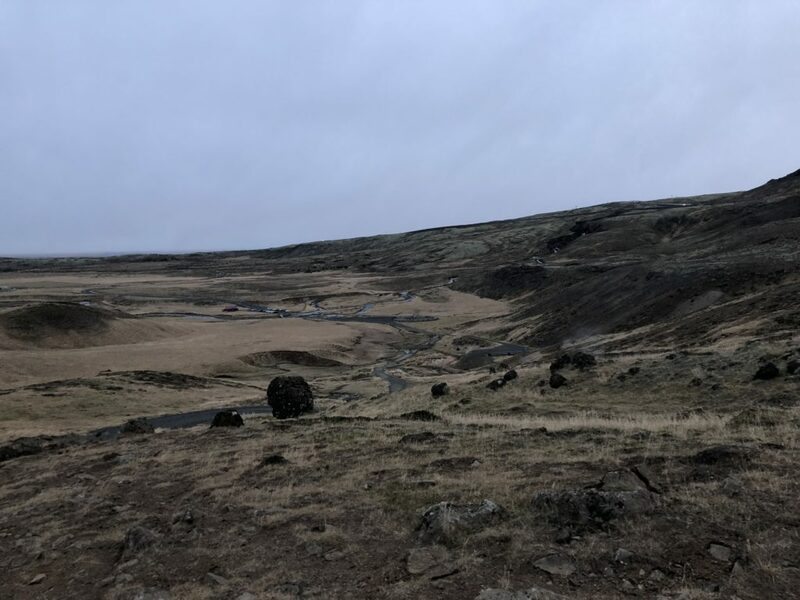 As always, paying attention to the speed limit and learning what common Icelandic signs mean are going to keep you constantly aware of your surroundings. Always be cautious of one way bridges, giving the right of way to oncoming traffic. Be cautious of sandstorms AND most importantly windblown doors are NOT covered by insurance. 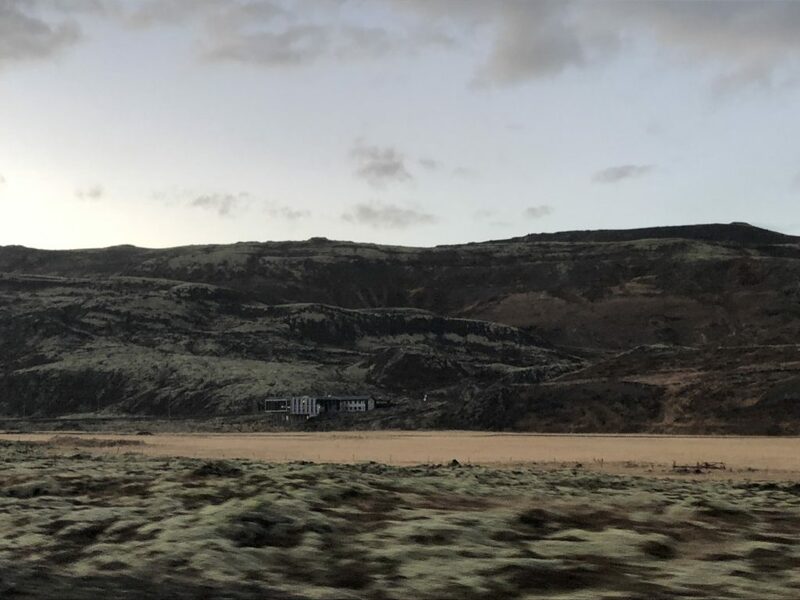 Iceland is seriously windy…repeat after me, ICELAND IS SERIOUSLY WINDY. As long as you keep this in mind and hold onto your door upon entering/exiting, you’re gonna be just fine. Our CRV handled all of the road conditions and ended up being a wonderful vehicle for our trip. Are you still with me? 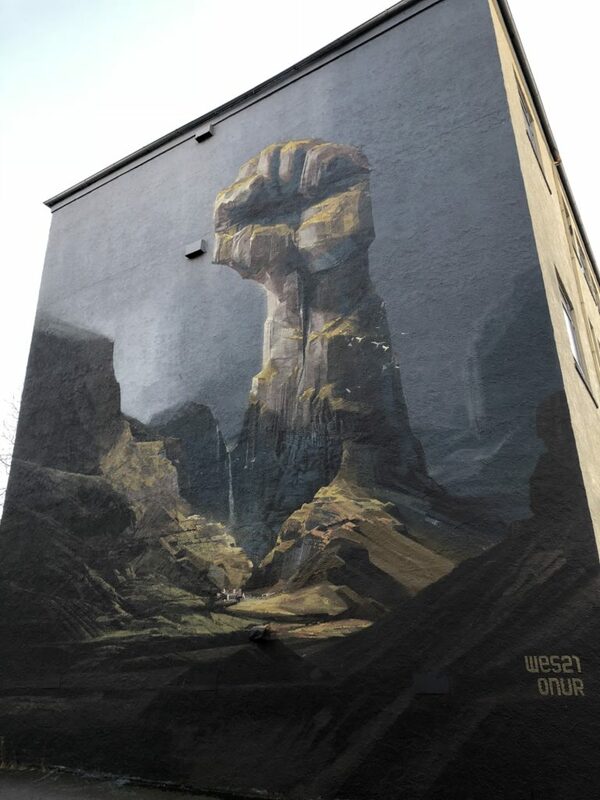 Still want to go to Iceland? I hope so, because our trip was really magical. Onto the fun stuff. 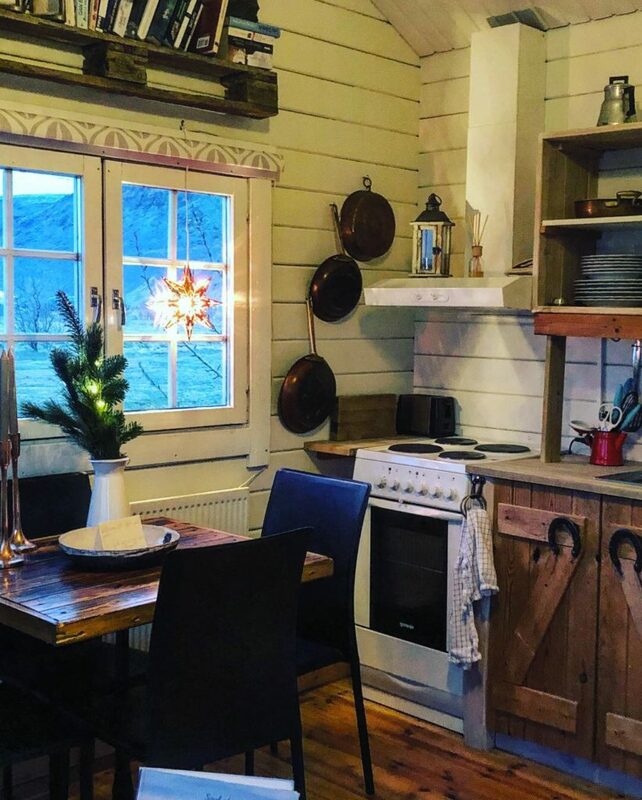 After we got our car, we made our way to our Airbnb in Reykjavik. Our place was a dream, I would highly recommend it. Spotlessly clean, reasonably priced, extremely responsive owner, easy parking and literally the best location. 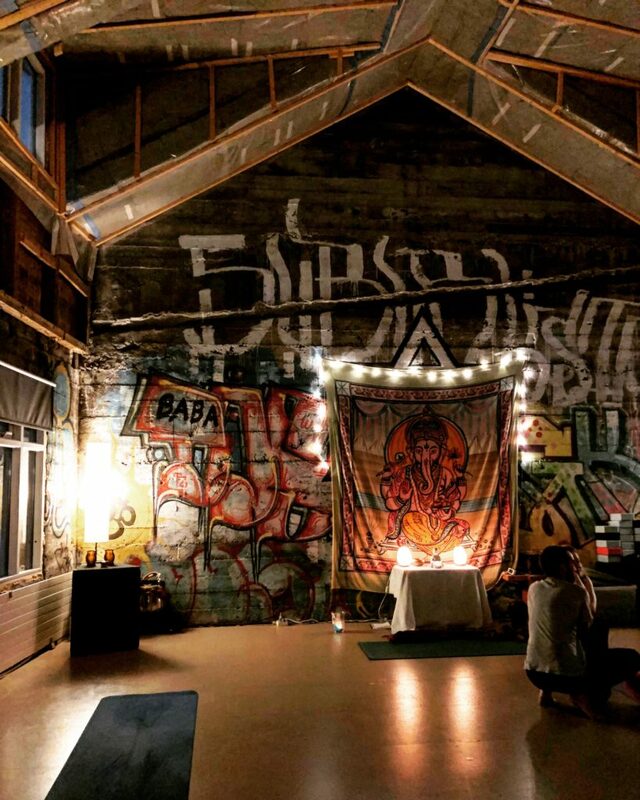 Here is the link: https://www.airbnb.com/rooms/8718868?guests=1&adults=1. 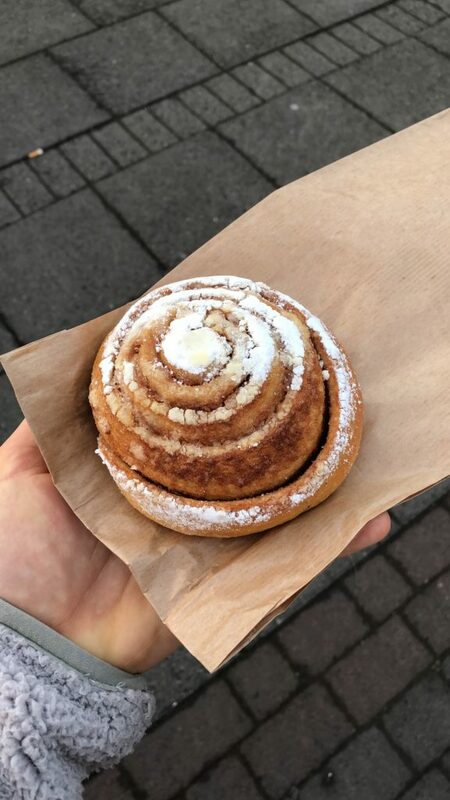 We were literally within walking distance to the best cinnamon roll I’ve ever eaten at Braud & Co and a wonderful yoga class at Reykjavik Yoga which is located above the bakery. Yes, my dreams did come true. That night we got a recommendation to go to Messinn for dinner. This was one of our favorite meals of the entire trip. The seafood was fresh and delicious. After dinner we walked to Klaustur for a ridiculous rhubarb gin & tonic. 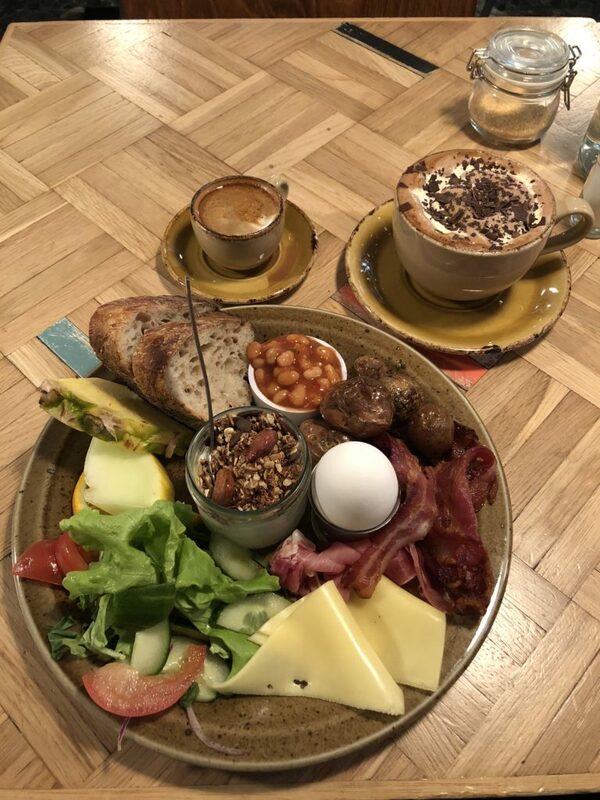 In Reykjavik, Grillmarkadurinn should be on your list. We heard that dinner was amazing, but it is very pricey. So we opted for dessert and a cocktail in their unique venue. As we strolled the streets, we happened to stop at Chuck Norris Grill for a late night bite to eat. This was so good for a quick snack. 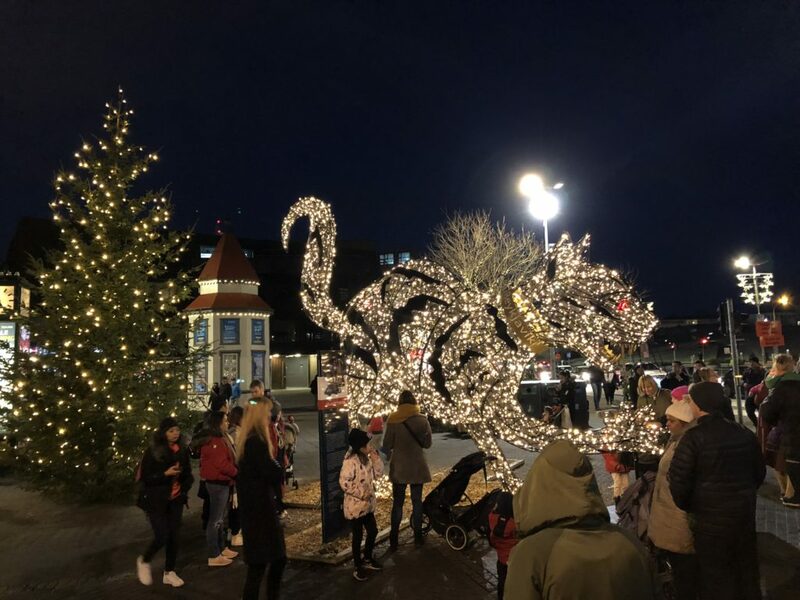 We really enjoyed all of the Christmas decorations and decided it was the best idea to take a “cold” vacation around the holiday. 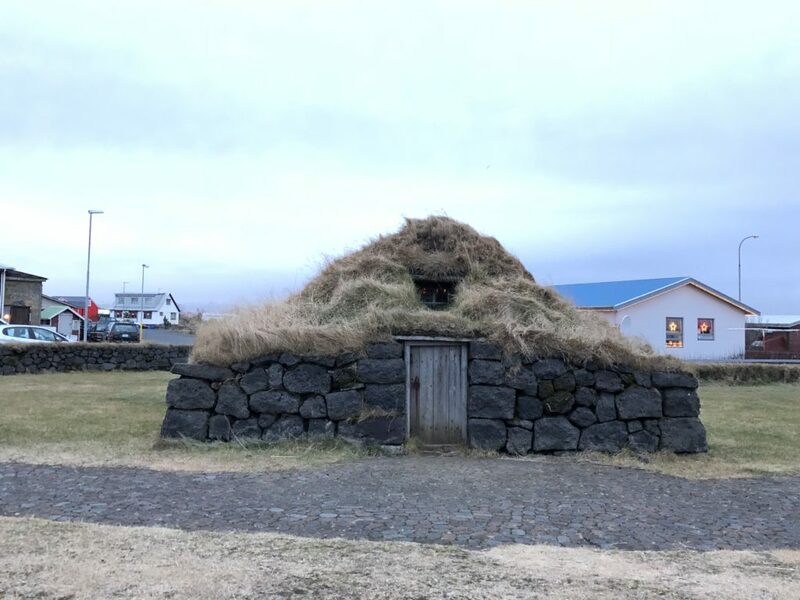 Iceland has some really interesting folklore! The next morning we were up early for a CityWalk free tour. This is a MUST do. We were led by Tomas for about two hours as we learned the culture and history of Reykjavik. He was filled with fun facts, interesting bits of history and wonderful travel tips. At the end of the tour, you gave your guide whatever you believed the tour was worth. It was here that we learned that gratuity is included in most of your bills, especially when dining out. (Matt and I chuckled to ourselves because on that first night, we were leaving 20% tips everywhere we went). 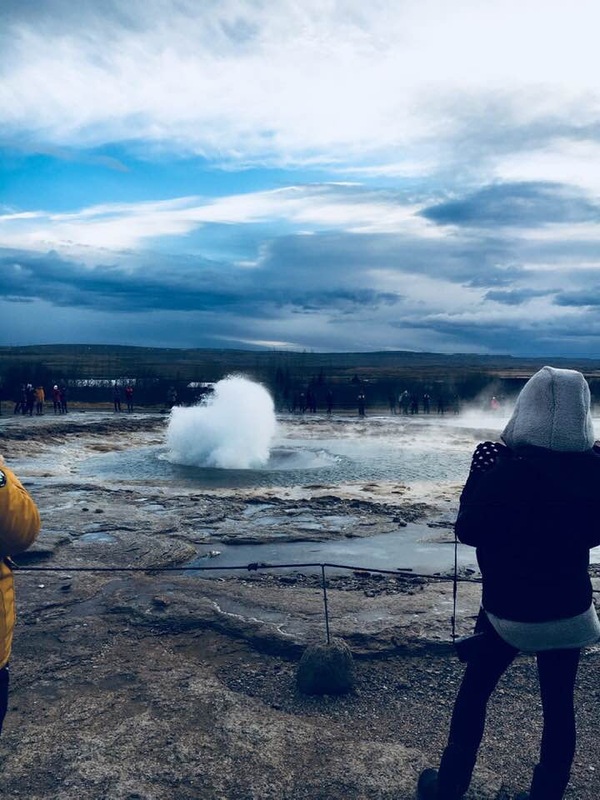 We had heard that Iceland was super expensive, but with this in mind, you come to learn that everything is quite reasonable. 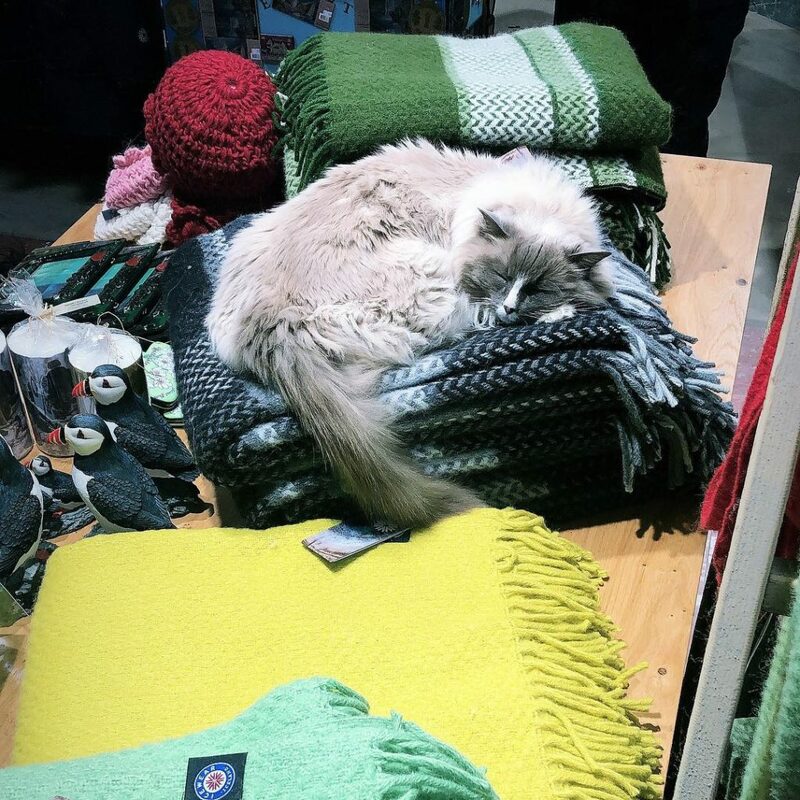 Tomas had recommended that we walk through The Reykjavik Flea Market. 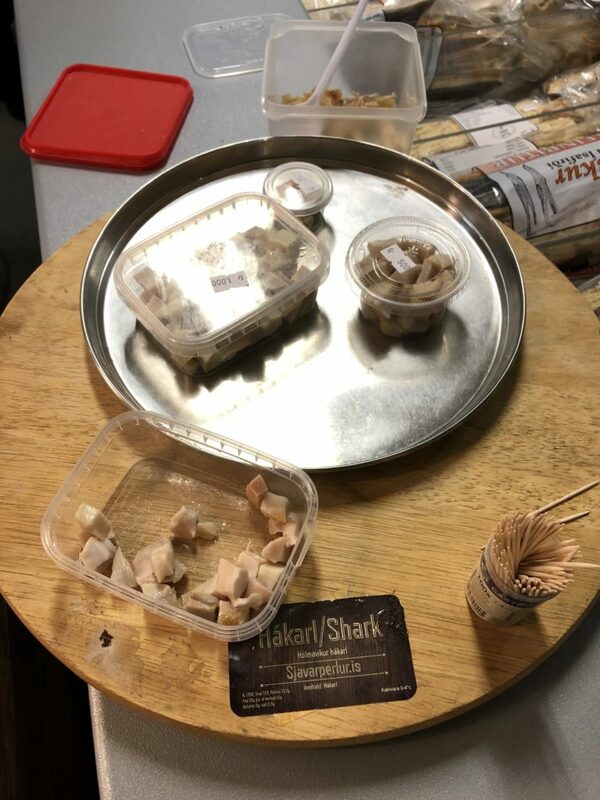 There were a bunch of great vendors and the opportunity to try the infamous fermented shark. We opted out of that one, but it was fun to watch others give it a go. After our tour we walked to Bergsson Mathus for a late lunch. It was here that I fell in love with hot chocolate and a shot of espresso. I WAS gluten free before I went on this trip, but the Kleina at Deig and all of the other heavenly pastries were impossible to resist. 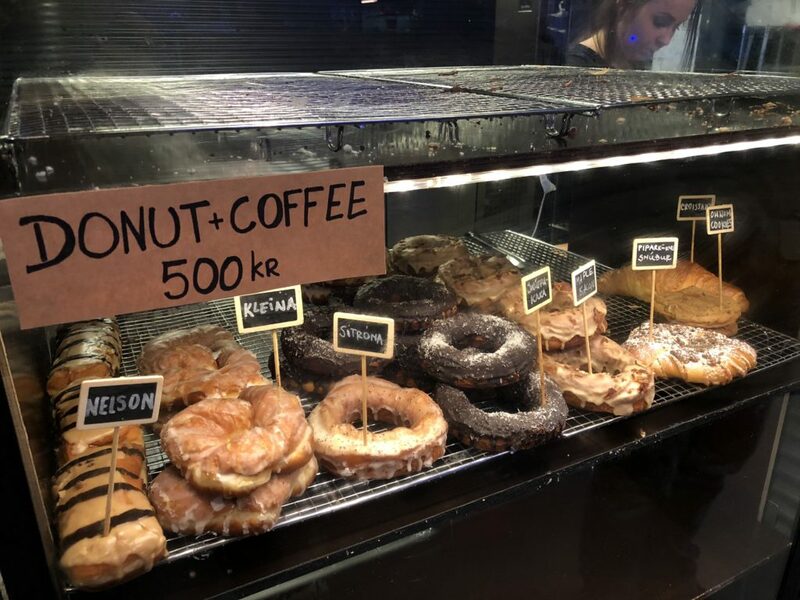 Sandholt is also an amazing bakery/eatery. I love to purchase practical souvenirs that I’m going to treasure for years to come. My top priority when buying, is to always come home with gifts for my loved ones and a few treasured pieces for myself. Matt and I agreed that we wanted to purchase some beautiful handmade ceramic espresso cups from local designer, Bjarni. With so many items to choose from, this shop is sure to have something for you to carry home. 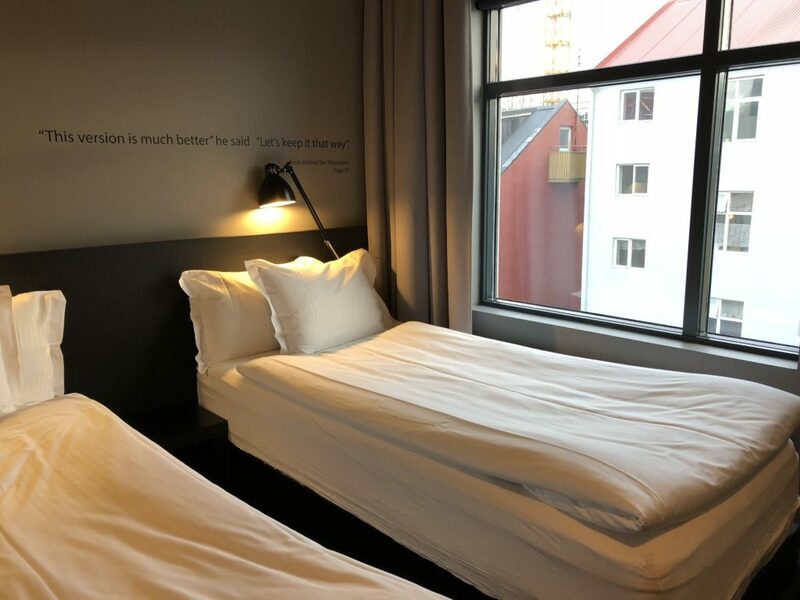 We stayed for three nights in Reykjavik, our last night was at the Skuggi Hotel. Looking back, I wish we had chosen to stay in our Airbnb for three nights, instead of switching places. Fish and chips at Solon Bistro was a quick delicious dinner before we drove to the Golden Circle. 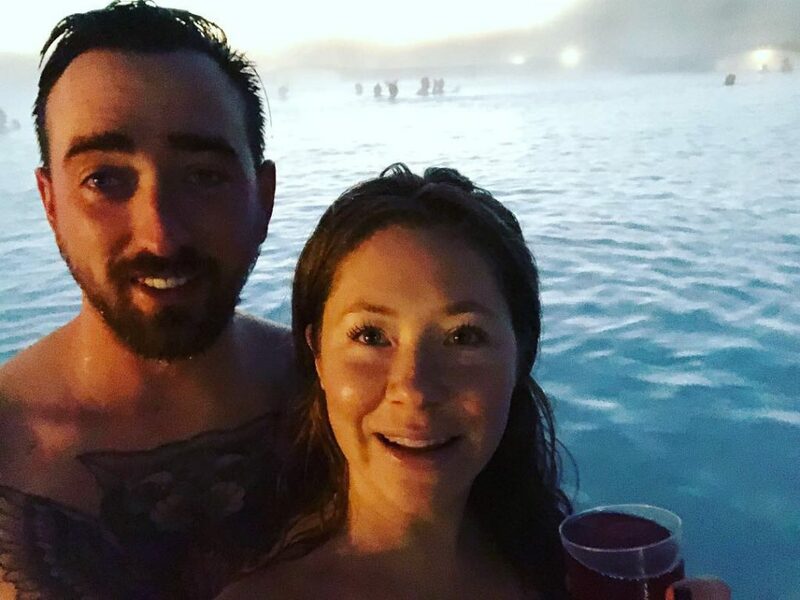 I couldn’t wait to experience a geothermal bath for the first time, so we opted to book a time slot at Laugarvatn Fontana. We totally could have waited to do this another night, but I’m glad that we didn’t as I wanted to see as many of these as possible. 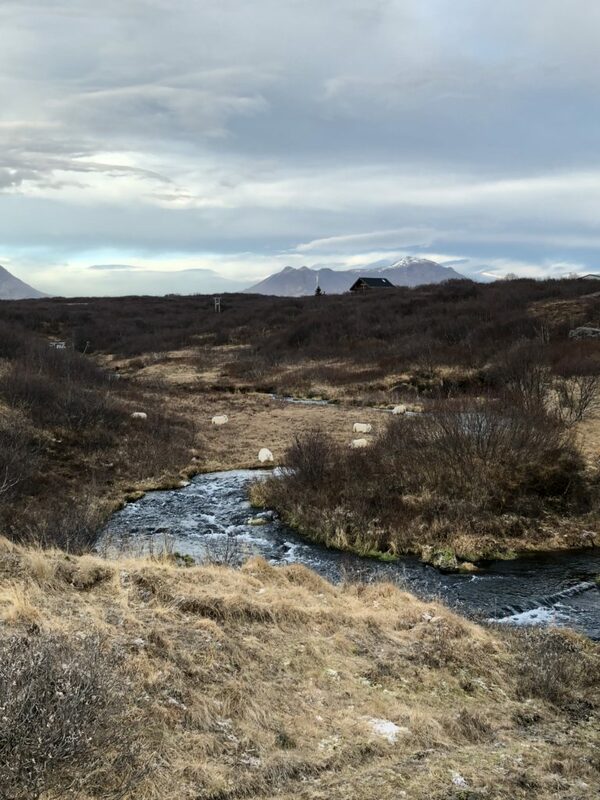 What I loved the most about our time here was that you could hop in a variety of hot springs and then make your way to the ice cold waters of Lake Thingvellir for a quick dip. So good for the body! There were also a variety of natural steam rooms. 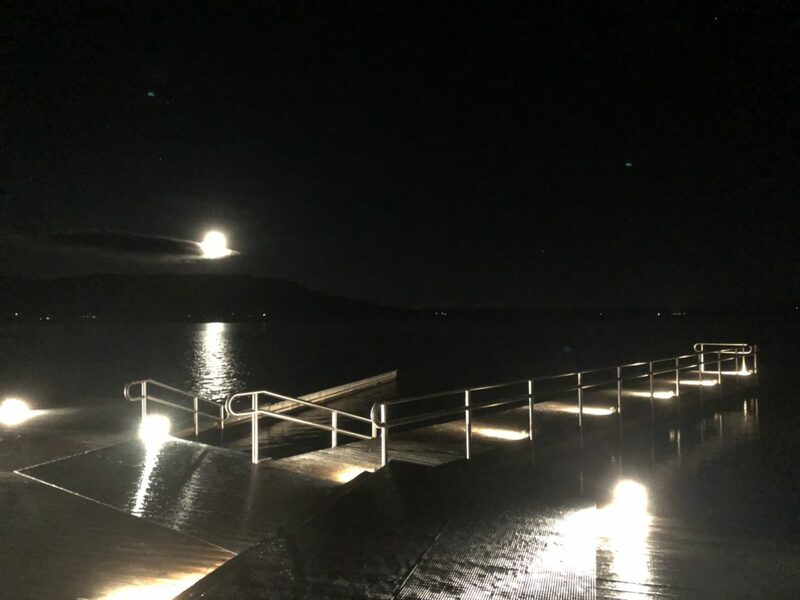 The moon was full that night, it was truly a once in a lifetime experience. Brewdog was super closer to our hotel so once we got back from our hot spring adventure, we walked there for a flight of beer. I promised to give them a shout out on my blog. I’m running a blank on the names of the two guys that were working the night we went in, but they were super hospitable and a lot of fun to stay and hang out with. 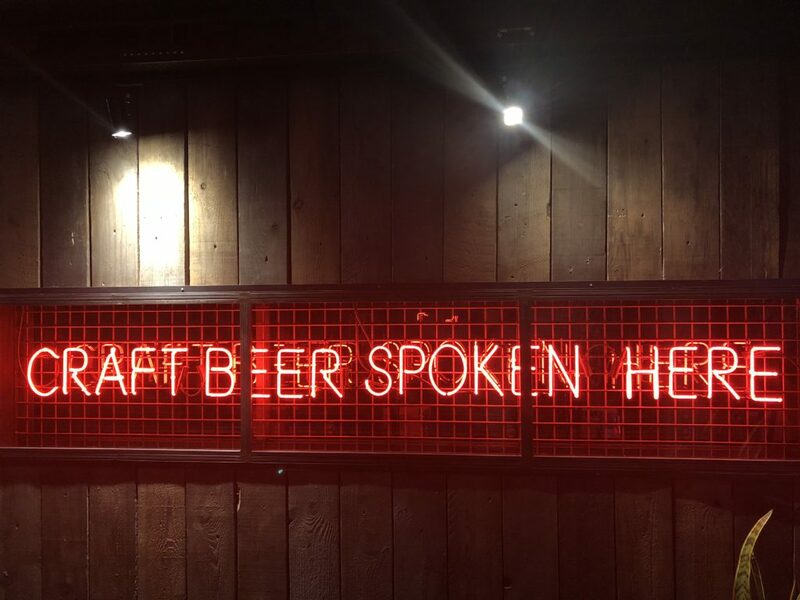 Their beer options were incredible, with the some of the best local brews. The next day we got picked up by our driver/tour guide (Flosi), for our 23 hour South Coast tour. 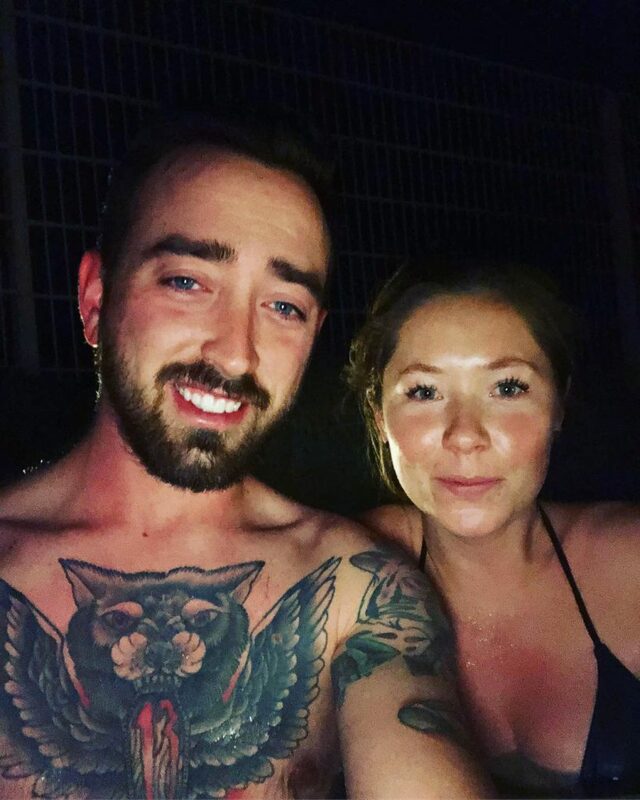 I included his Instagram link here, feel free to reach out to him if you’re looking for a truly wonderful experience outside of staying in a bubble. 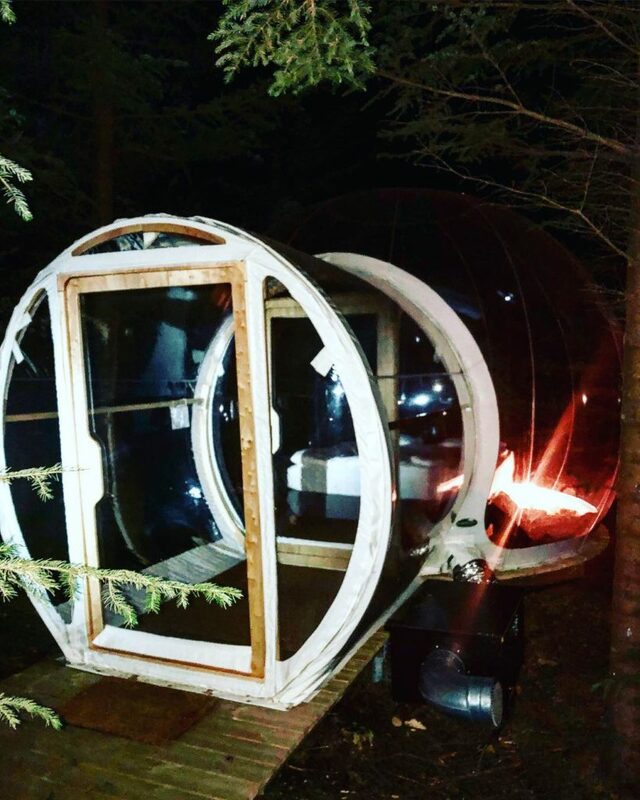 This adventure was one of a kind as we got to spend our night in a real life bubble! I booked this directly through the Buubble website. Keep in mind, depending on what time of year you do this, the overnight stay may only be available with the full tour. This was a bit of a splurge as this was really a glamping experience. We had a lot on our to do list to see, with not a whole lot of a day light. We somehow managed to see and do it all. 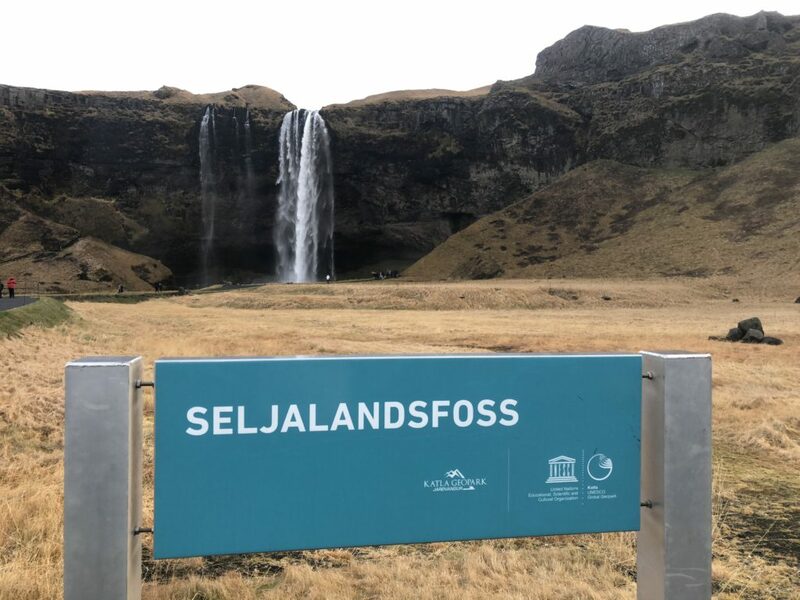 Stop one was at Gljufrabui & Seljalandsfoss, which are two beautiful waterfalls about 2 hours outside of Reykjavik. 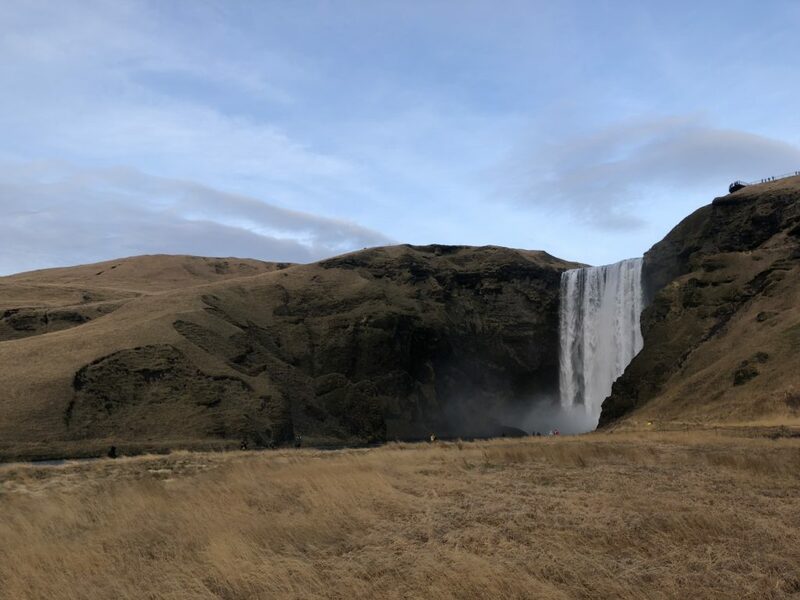 Stop number two was at Skogafoss, another breathtaking waterfall! 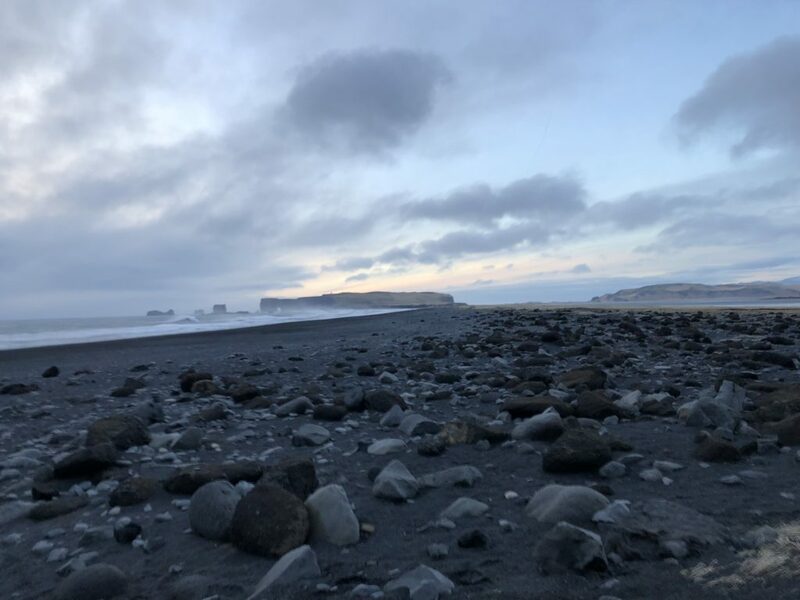 Stop number three was at Reynisfjara Black Sand Beach. Oh my gosh, this was the windiest place I have ever been! 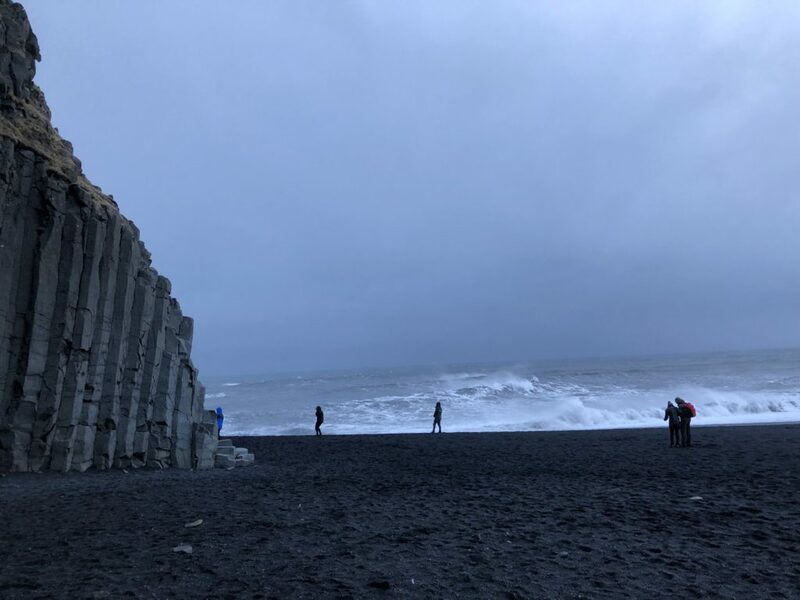 From the basalt stacks, to the hurricane force winds to the black lava ash sand to the angry ocean…this was truly amazing to experience in person. Flosi advised us to not turn our backs on the ocean as the sneaker-waves have been known for pulling tourists out to sea. I didn’t even consider getting too close as I swear the wind was so strong, it was going to blow me into the ocean. After black sand beach, we had just enough daylight left to see a nearby lighthouse. I forget the name of it, but it was SO windy that I couldn’t get a good picture. After this stop, we headed to dinner then FINALLY made our way to our stay in the bubble. 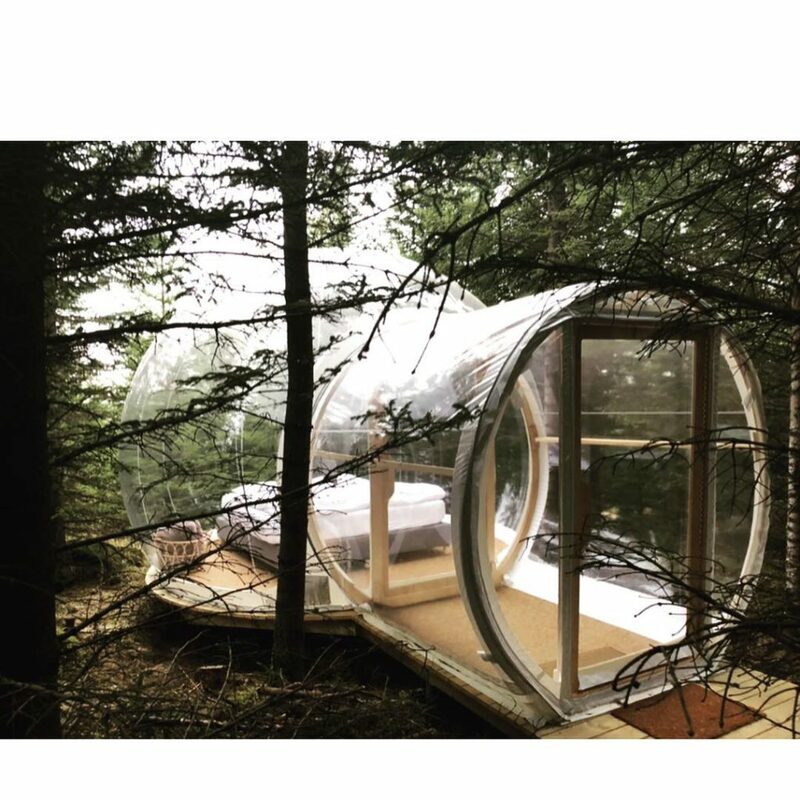 This was my first time glamping and it was incredible. All of the bubbles were heated and came with two heated blankets. The bathroom is a bit of a walk through the woods and the showers were even further, but the facilities were spotlessly clean. It was so chilly the night that we stayed here, but I do think it made it more magical. We set the alarms on our phones so we could wake up throughout the night in hopes of catching a glimpse of the infamous Northern Lights. We had a ton of cloud cover, so we were not lucky enough to see them. But lying there in our cozy bed in the dark and being able to feel like you were lying on the forest floor was something I will never forget. This is definitely a must do! The next morning, we got up early to shower and got ready to be picked up by our driver. 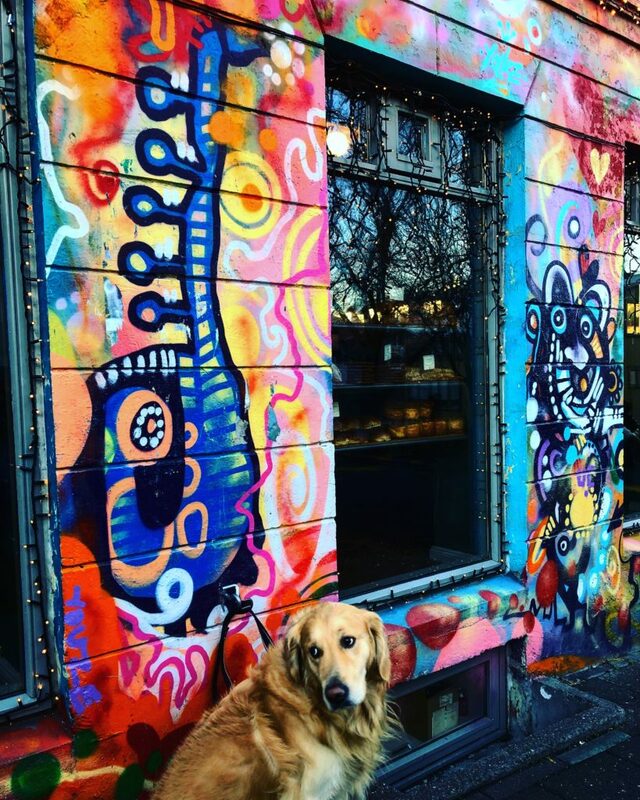 We made our way back to Reykjavik for a stop at Safabar, a local health food store. 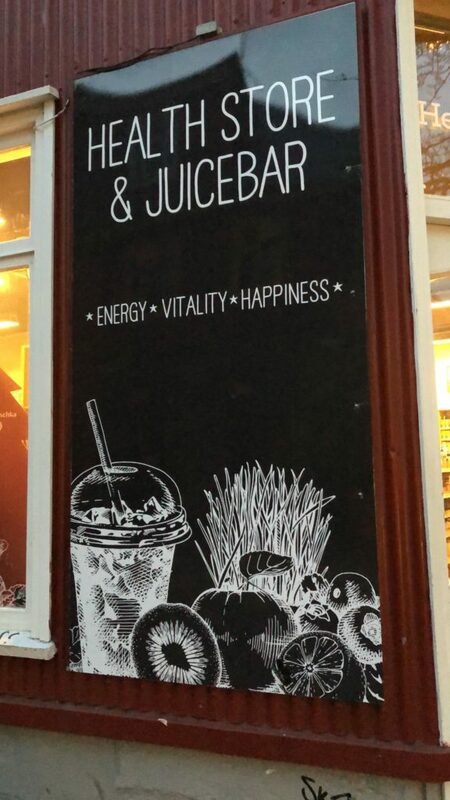 They had a really delicious juice bar and tons of holistic remedies. 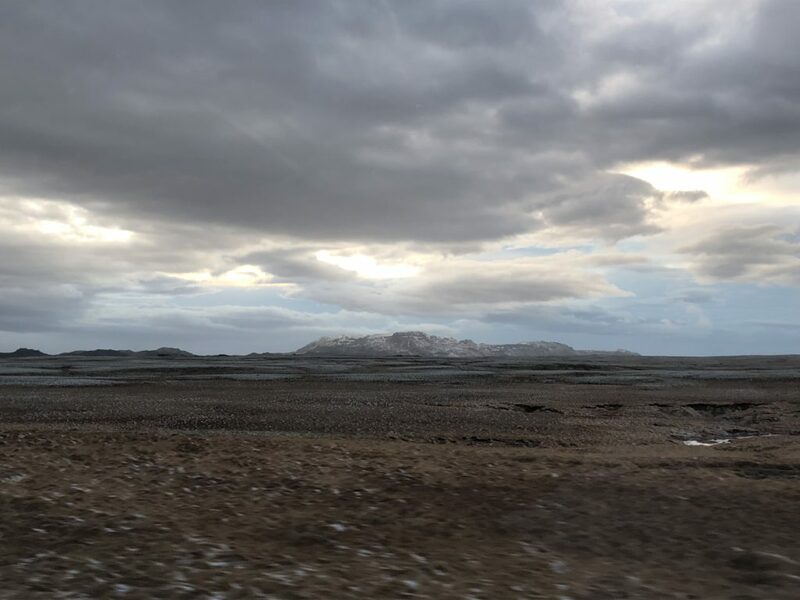 We picked our car up which was safely parked at the Skuggi and began our drive to the Ion Adventure Hotel for our one night stay. We didn’t have a whole lot on our itinerary this day, which ended up being a good thing because a huge storm was rolling on. We did have a snorkel tour which was able to be conveniently rescheduled for another day. 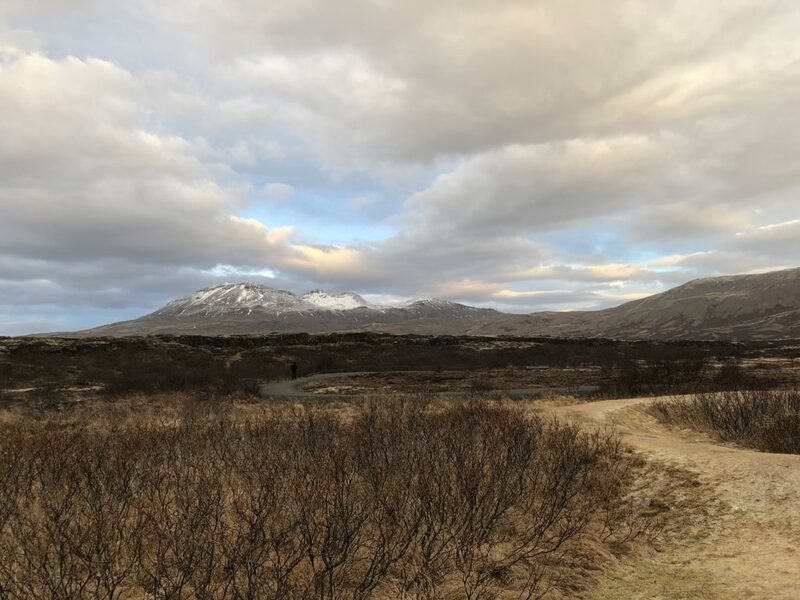 This gave us time to enjoy the scenery and add a few stops on the Golden Circle. Matt was super hungry at this point so we stopped at Supa so he could get a cup of soup. It was the perfect idea. We were making our way to Fridheimar for a late lunch/early dinner but it was a distance away. 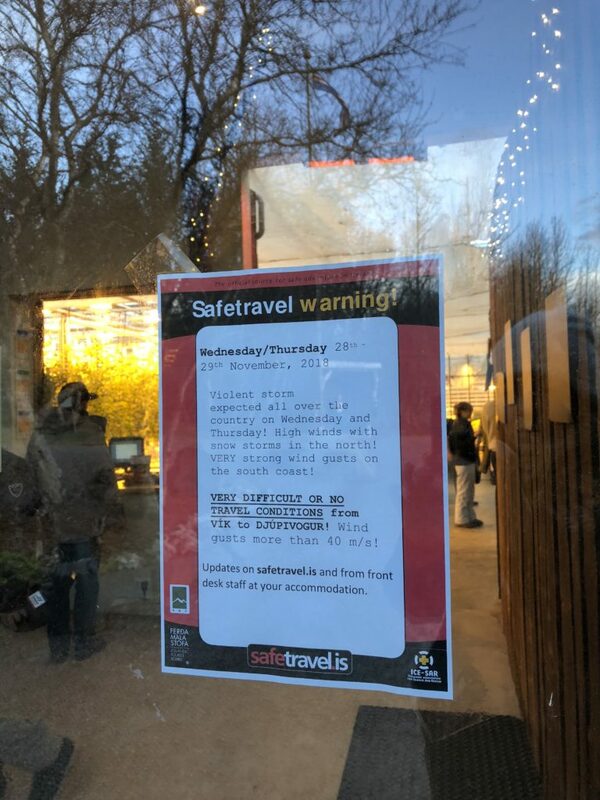 Upon arrival we saw the Safetravel warning and knew the weather was no joke. So we decided to eat and make our way to our hotel. 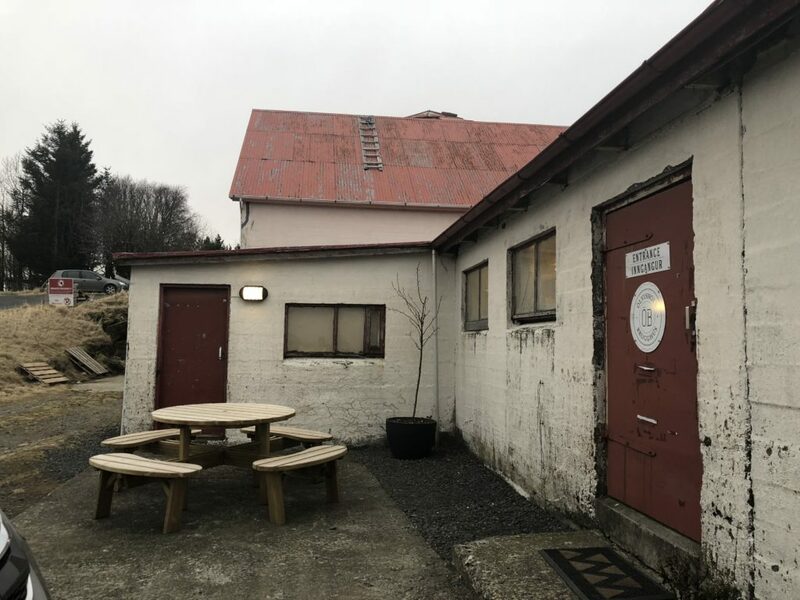 Fridheimar farm is a true culinary experience. 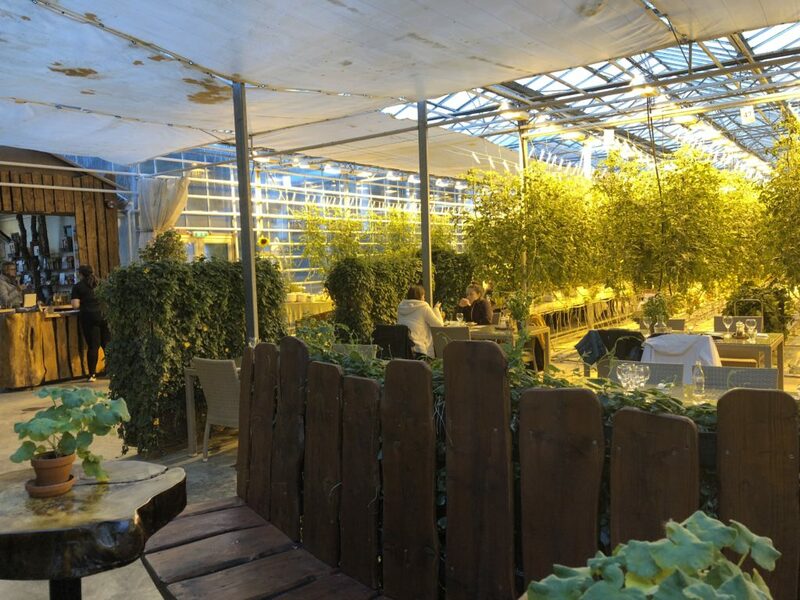 We enjoyed our meal in a greenhouse surrounded by tomato plants, fresh air and the occasional pollinating bee. I’ve never eaten so many tomato filled dishes at one time. The tomato soup bar was worth every penny. 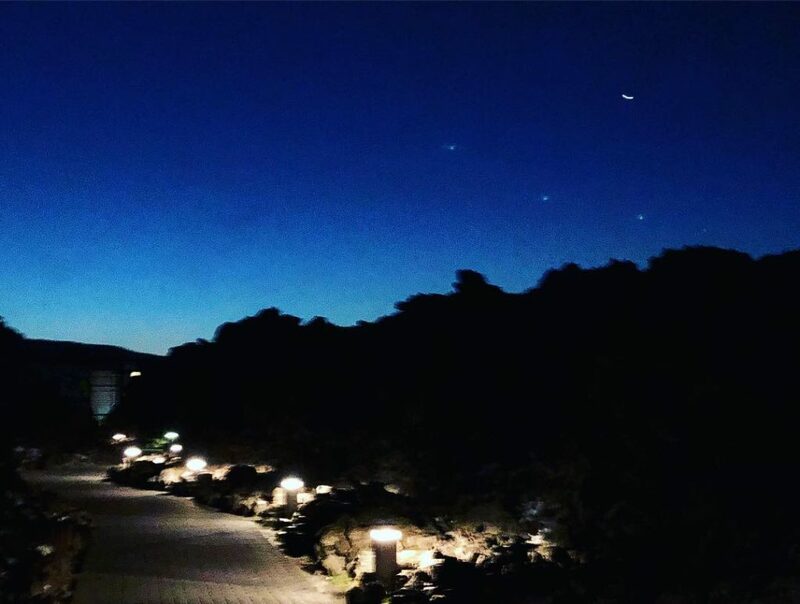 We made it to the Ion Adventure Hotel just before it got dark. 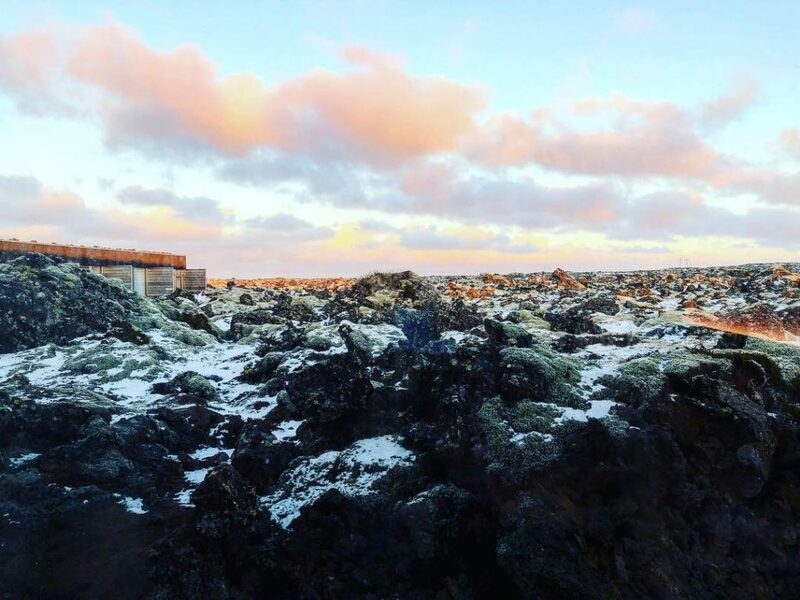 This hotel is super unique as it is in middle of nowhere, surrounded by gorgeous lava fields. 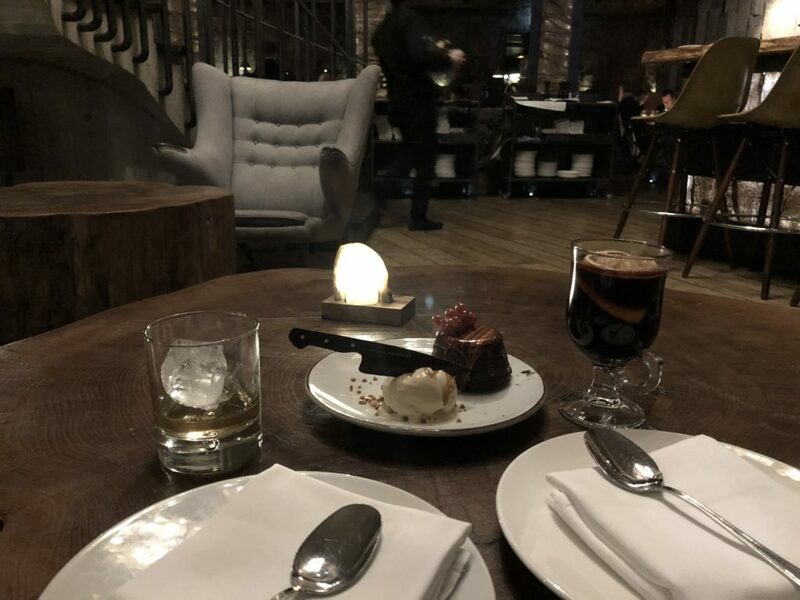 We made sure to book a reservation for dinner at our hotel and took advantage of the Northern Lights Bar during our stay. 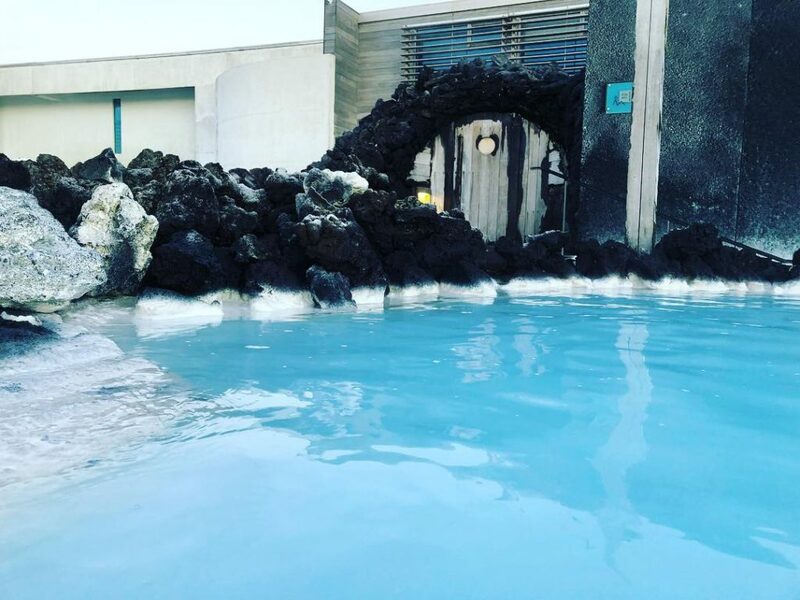 Also, the thermal pool and sauna housed beneath the hotel is a must. Entry to both of these are included with your stay. 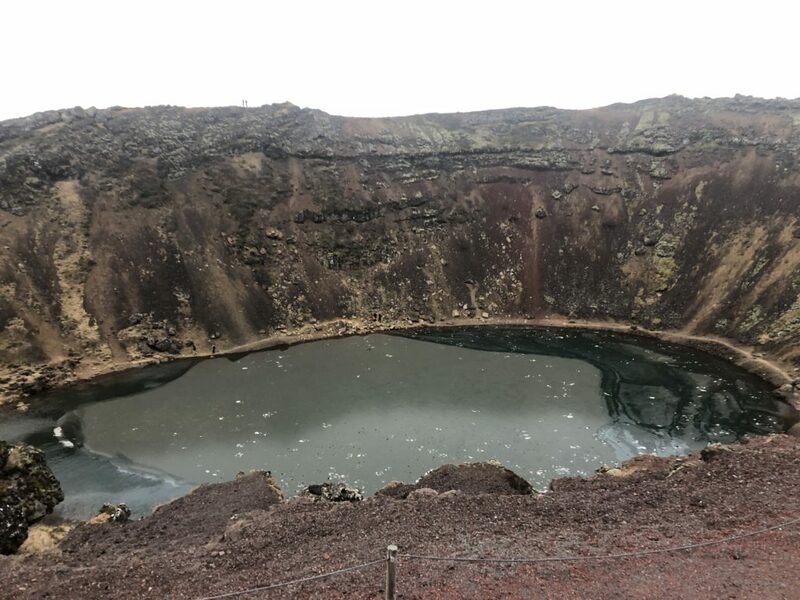 The next morning we woke up and drove to Kerid which is a volcanic crater lake filled with milky blue water. I’m not the biggest fan of heights and the wind was really whipping so we opted not to walk down to the lake. My wind blown hair gives you a good idea of how windy it was! 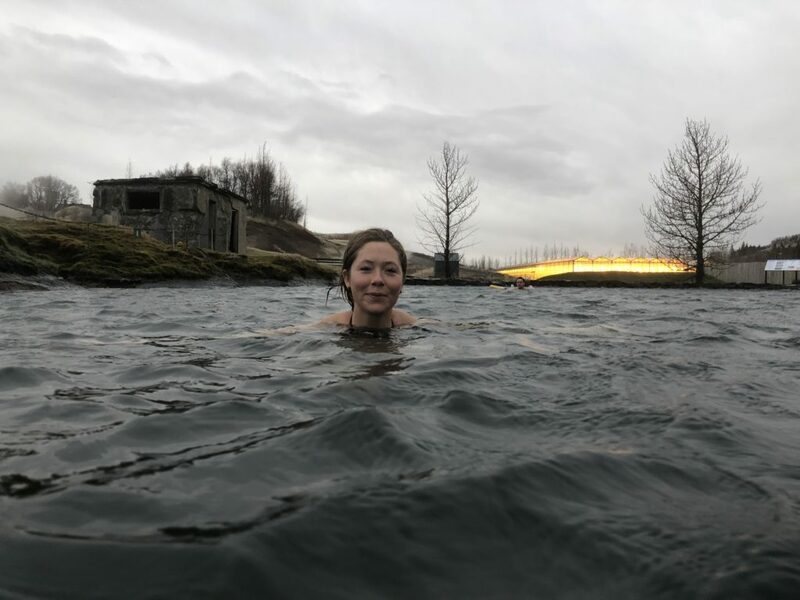 My favorite geothermal pool of the whole trip was the Secret Lagoon in Fludir. Created in 1891 and complete with its own spouting geyser. Matt didn’t think I was serious about putting on my bathing suit and making my way to the boiling hot water. Then he saw my receipt, knew I paid and he knew we were going in. 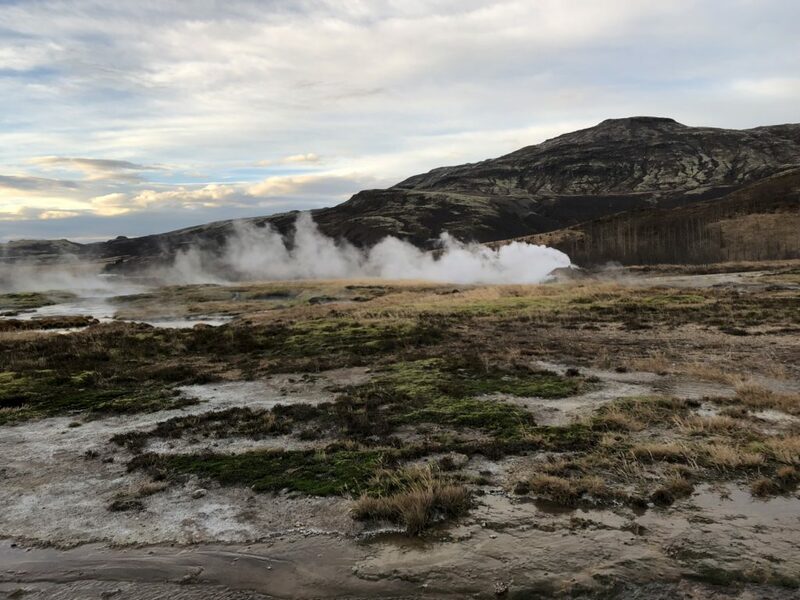 The water was so hot in spots, it was shocking that it was geothermal heat. It was honestly so much fun to swim here, the air was so cold but we were nice and toasty in the pool. 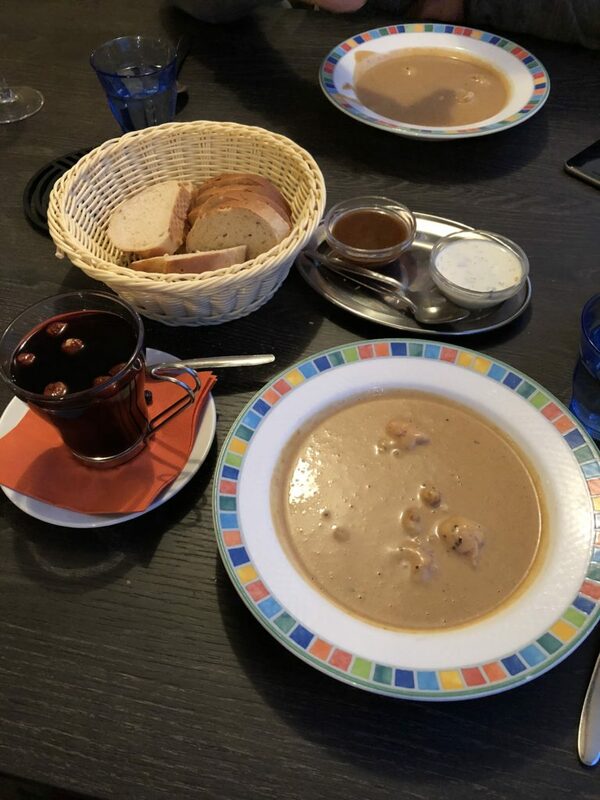 After our dip at the Secret Lagoon, we drove to Fjorubordid for their famous langoustine soup. 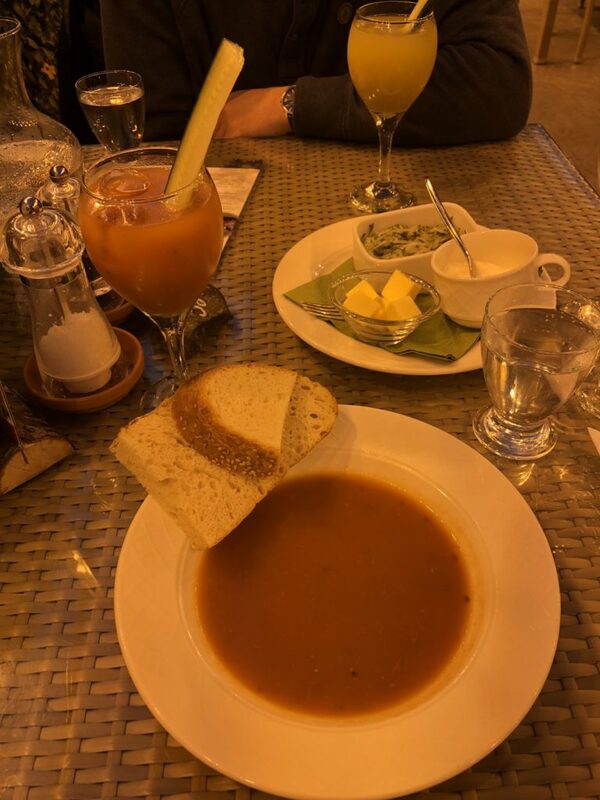 We could see why it was well known, it was the best lobster soup I’ve ever tasted. 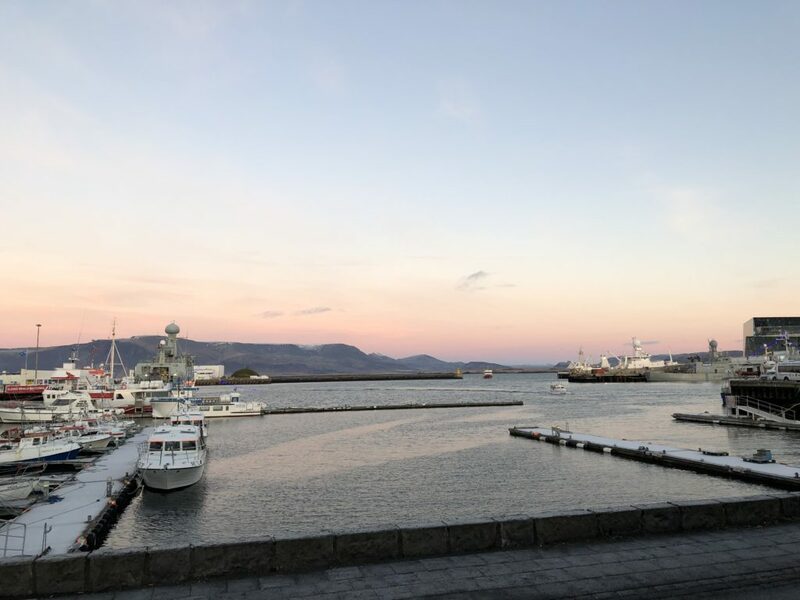 Stokkseyri, the town that the restaurant is in is ocean front and really cute as well. 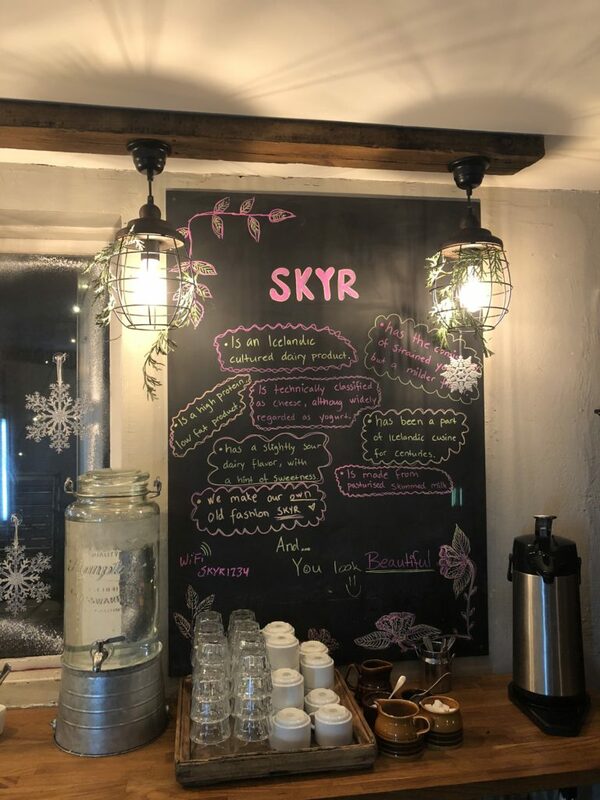 Our next stay was at the Skyr Guesthouse in Hvergerdi. I LOVED the location of this inn. 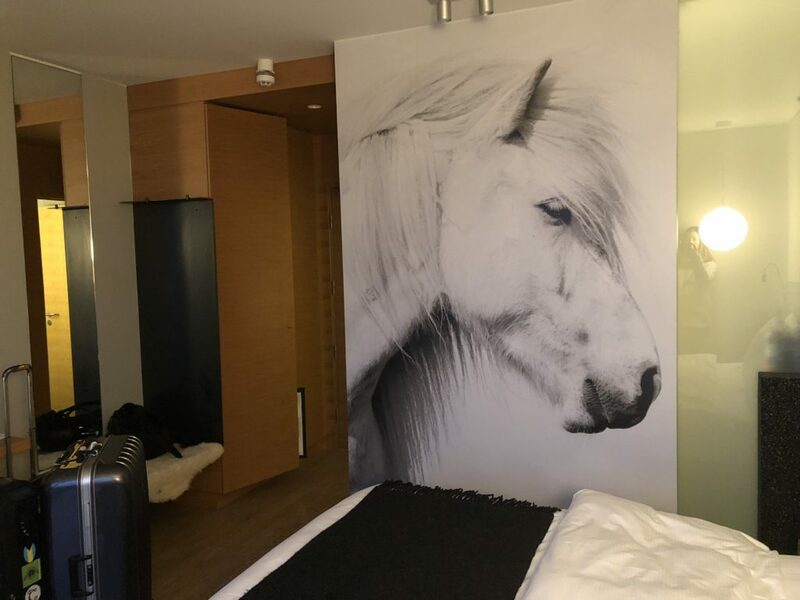 I would highly recommend booking the superior double room like we did. 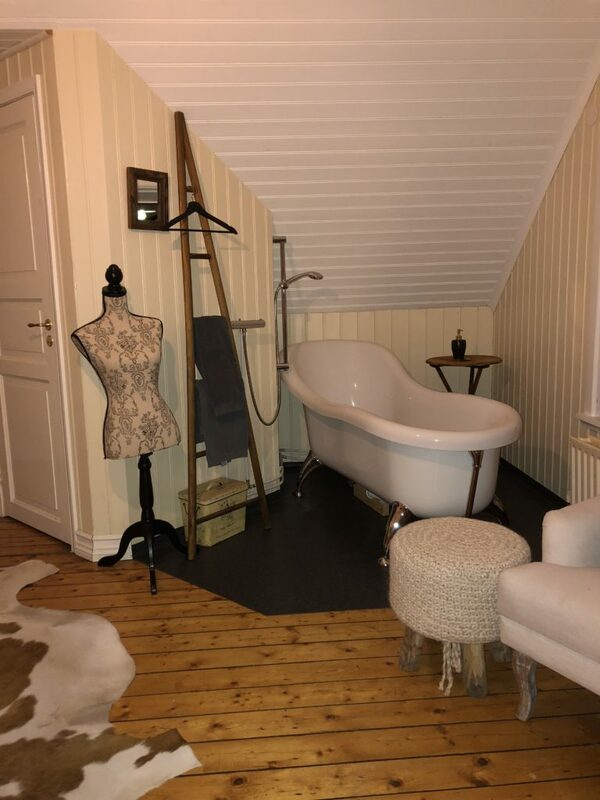 The cost to stay here was super reasonable so I was glad that I upgraded and booked the only room with it’s own bathroom. The rest of the rooms share a bathroom/shower, which is not a big deal. But I do love my privacy. This place was literally the cutest and the Skyrgerdin restaurant located below was amazing. Order a “holy pee” shot for a truly unique experience…lol. 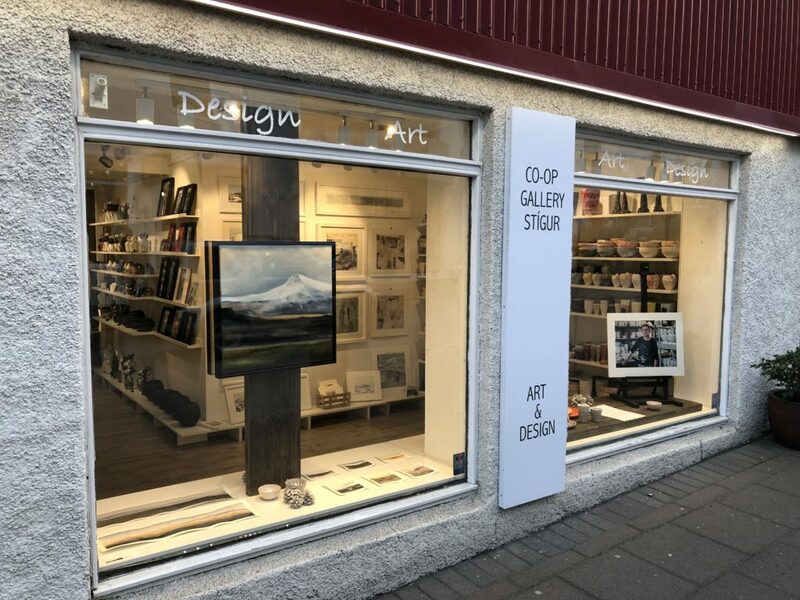 AND don’t forget to enjoy some traditional Icelandic skyr here! The guesthouse was really close to Olverk our favorite brewery in Iceland. Huge shout out to Laufey Sif and her staff for being so hospitable. Laufey (one of the owners) was a wealth of information and really spent a lot of time talking to us. She is deeply invested in her business and all of her hard work really showed! 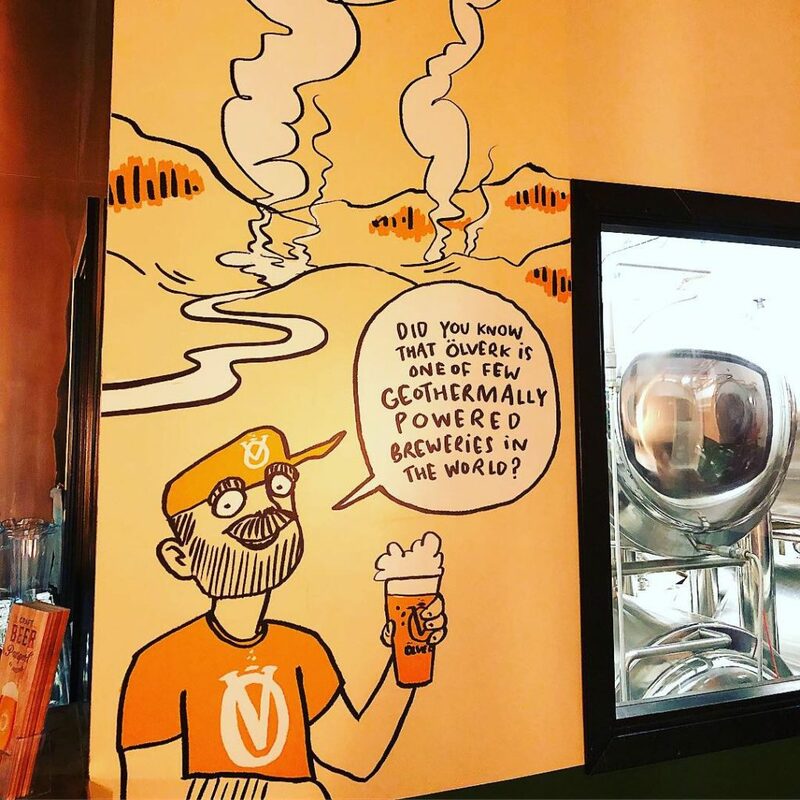 Their brewery is geothermally powered, the pizza is out of this world and their beer was even better. 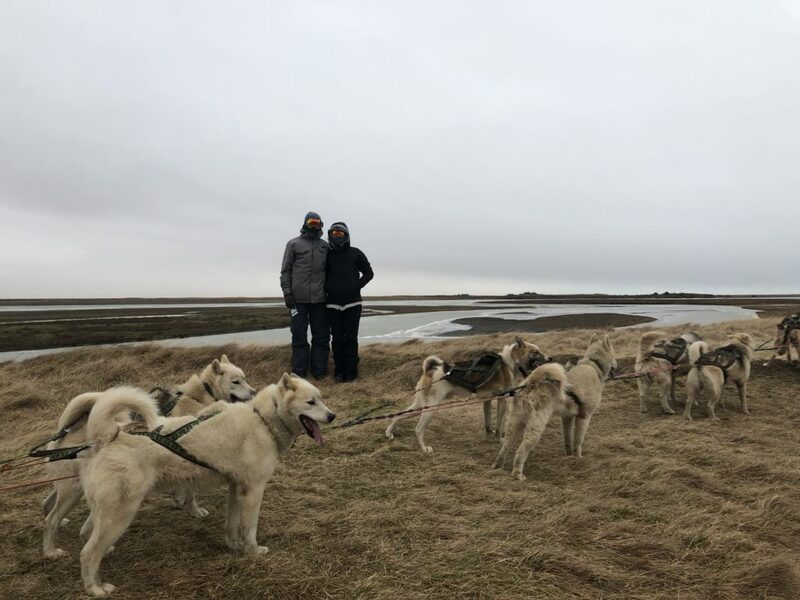 The next morning we headed to a dog sledding adventure. Prior to our trip, I didn’t realize that this was not native to Iceland. Did we have fun? Yes. Would I do it again? Probably not. I’m not going to go into detail about this or list the company that we did our tour through, as it’s not something I would recommend. After our tour we drove to Olvisholt microbrewery for a flight of delicious beer. 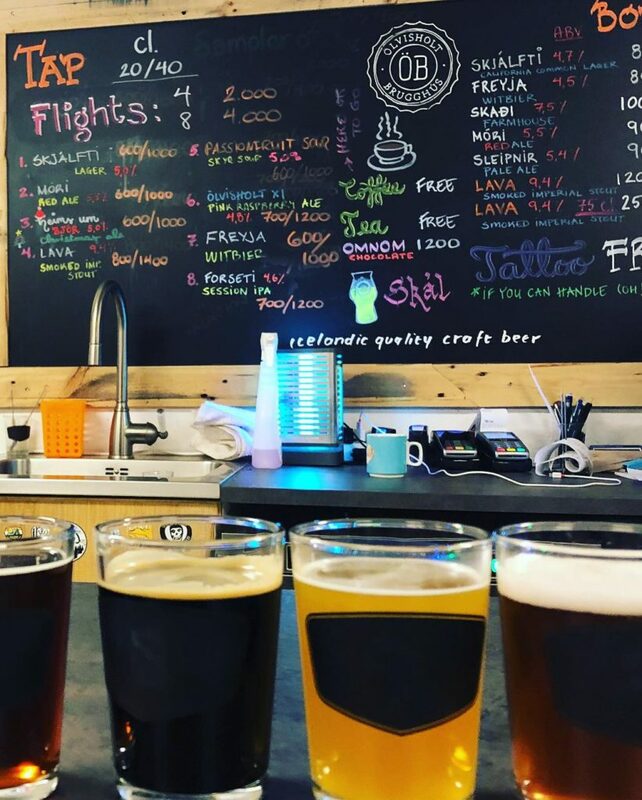 Our favorite breweries were authentic Icelandic craft beers. Reference this Facebook page for a map of them, if you’re a craft beer lover, this is going to make your trip. 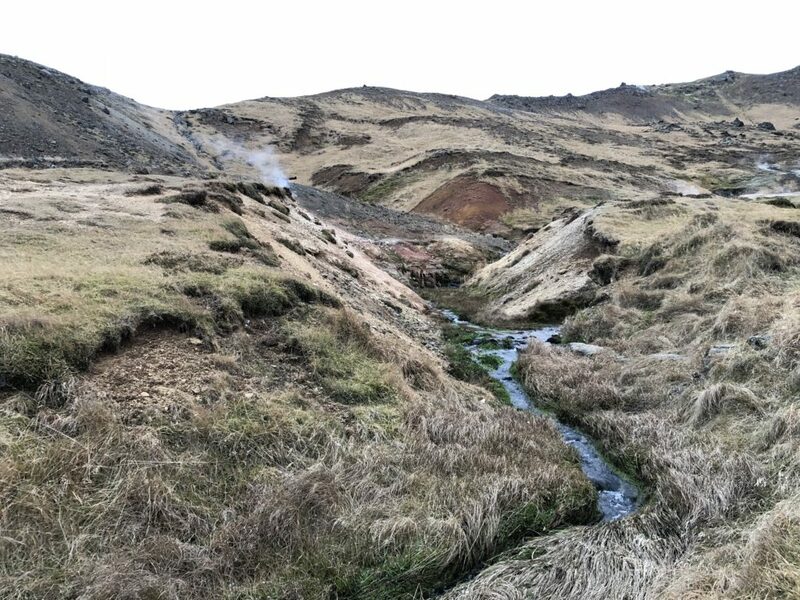 We attempted a hike to Hveragerdi Hot Spring and ended up doing most of the river trail. I do believe we eventually would have made it to the hot spring, but again my fear of heights got the best of me. The thought of being blown off of a cliff by the wind was not really in my game plan. 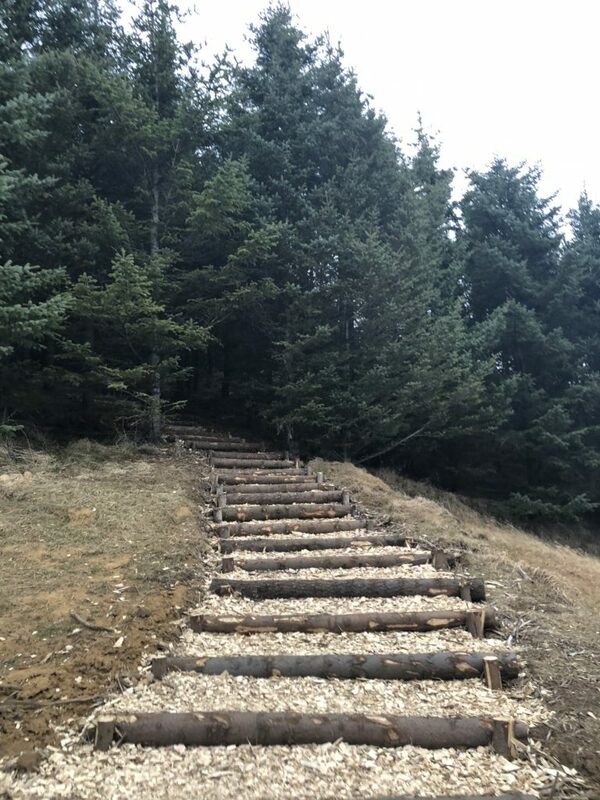 This hike is super gorgeous though, so I recommend strapping on your boots and giving it a go. 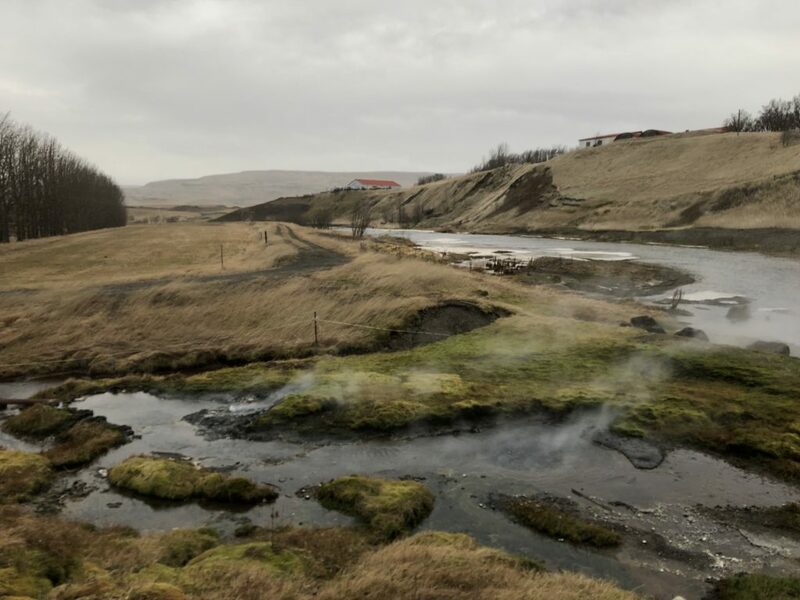 After our hike we made our way to the Akurgerdi Guesthouses, located on a beautiful horse farm in Olfus. I booked this via booking.com and got a really great deal. We had actually run into a group of girls and a couple that had stayed here at the beginning of their trip. Everyone RAVED about their stays here. I picked Guesthouse 2 for us, but really you cannot go wrong with any of them. Talk about tiny house living, these are the CUTEST. Complete with little chocolate candies on your pillowcase at check in. Ours had all of the best amenities including an impeccably clean hot tub. 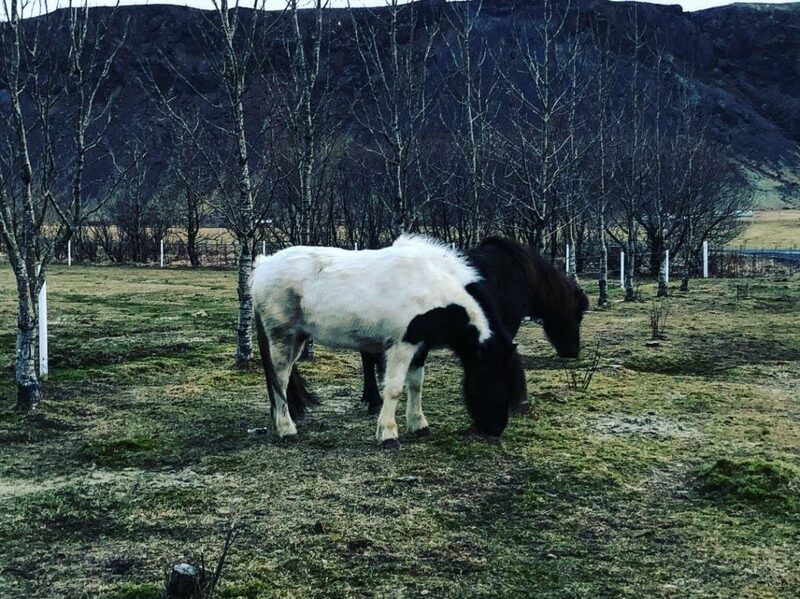 The owners of the horse farm are so welcoming and I knew this was the perfect opportunity to get up close to the beautiful Icelandic horses that we were seeing all throughout our travels. 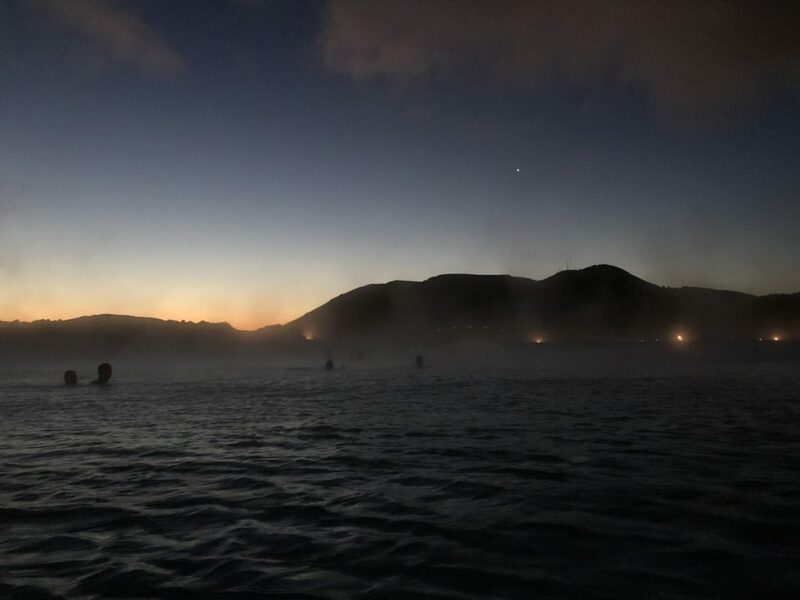 We really hoped for clear skies to see the Northern Lights, but this was a no go. Regardless, it was so much fun to sit in the hot tub in the dark of the night, surrounded by chilly air. The next morning I got up early for a tour of the horse barn and some time with the horses. Don’t hesitate to ask Sabine & Daniel (your amazing hosts), they’re really happy to spend some time with you! 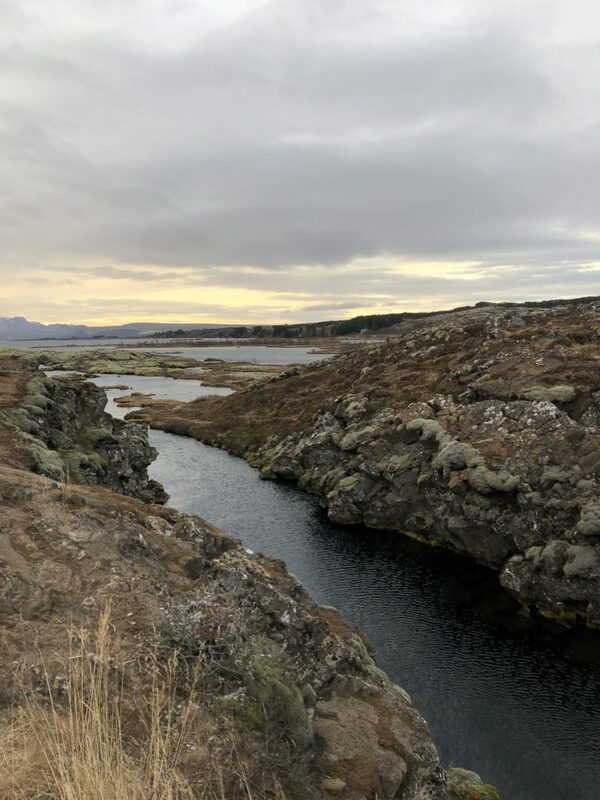 The next morning we drove to Thingvellir National Park for our Silfra Fissure Snorkel tour through Arctic Adventures. 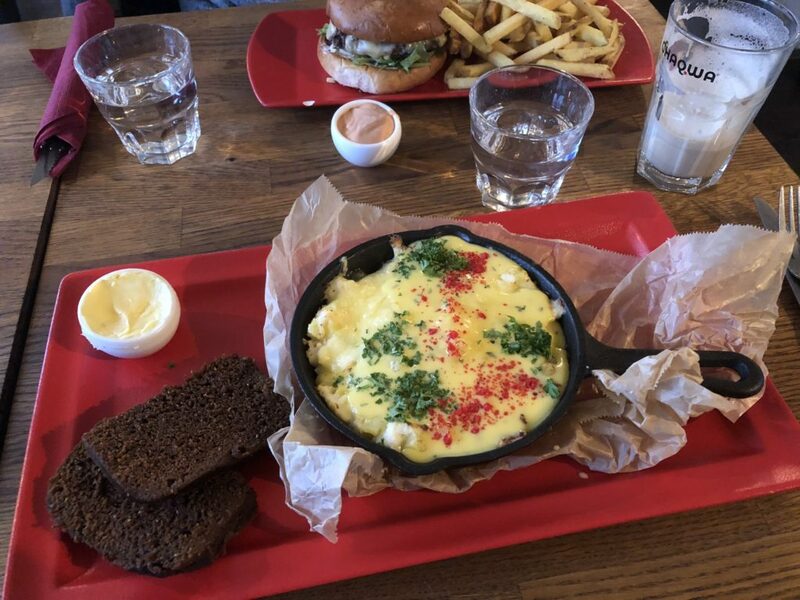 Again, this was a recommendation from a group of girls that we met in Reykjavik. 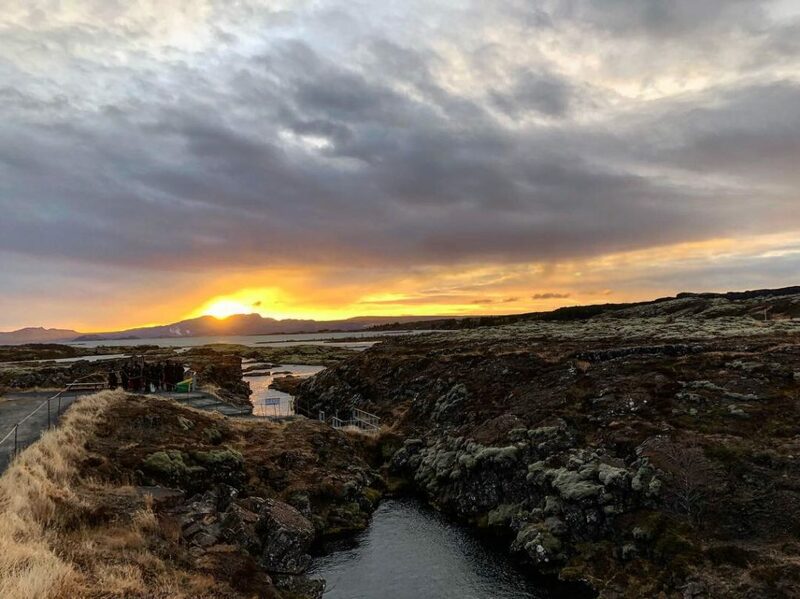 Truly a once in a lifetime experience, as this is the only place in the world that you can snorkel in between two continental plates. 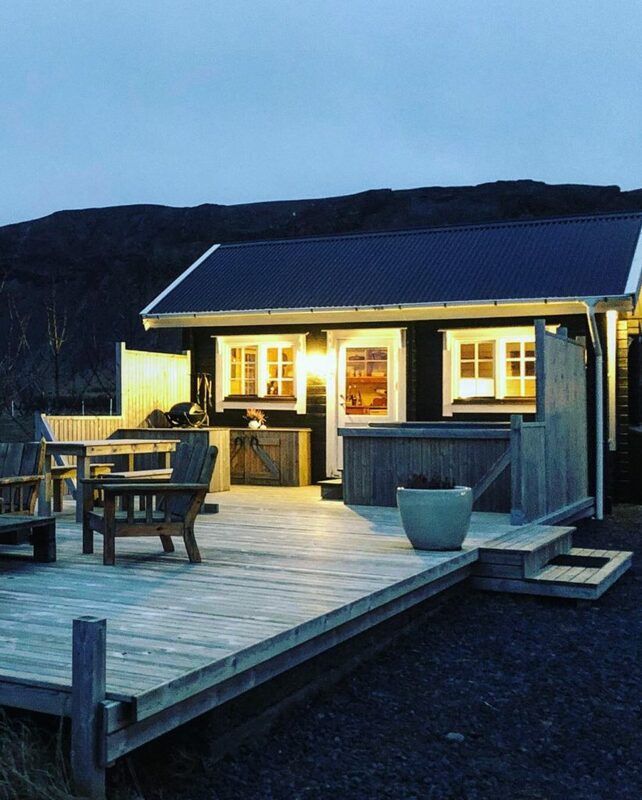 If you happen to be in Iceland when it’s freezing cold outside, don’t let this steer you away from an amazing adventure. 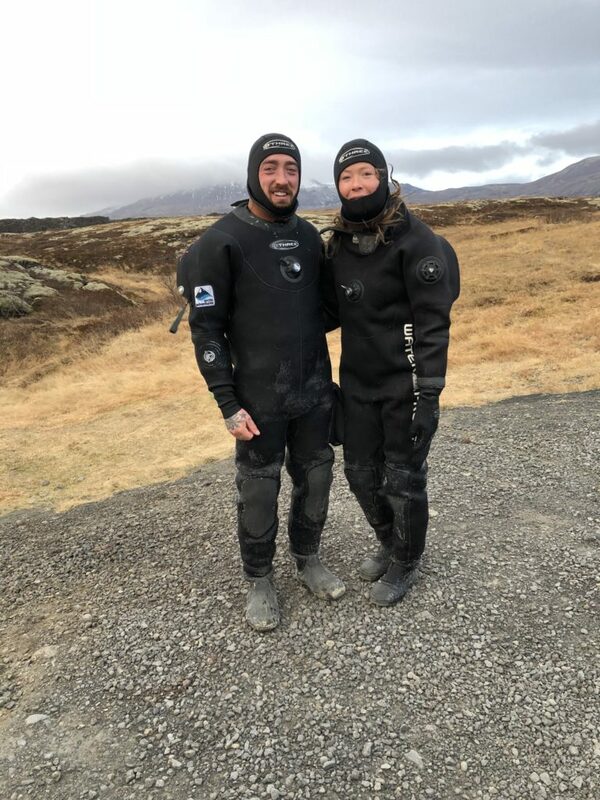 Your dry suit will keep you dry and as warm as can be. When you’re in the water, make sure you take a big gulp…I can almost promise you, you will never taste fresher water. Big shout to Taz (our astounding tour guide) for sensing my anxiety about doing this and being so thoughtful. She cracked jokes the entire time, always making sure that me and everyone else in the group felt safe and were having a good time. The sun was setting and I was determined to see Gullfoss, the most magnificent waterfall of them all. 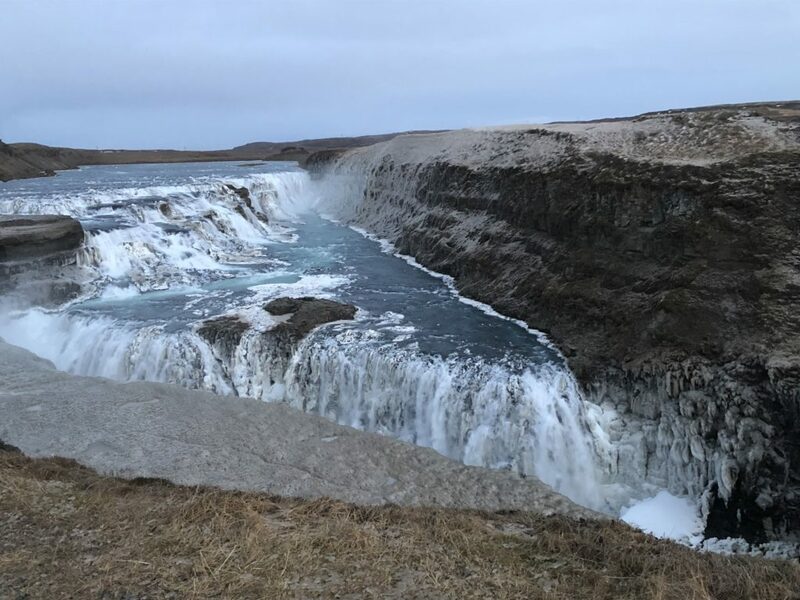 We somehow missed this when we drove the Golden Circle (multiple times haha). We made it there with just minutes to spare. Be sure not to miss it like we almost did! 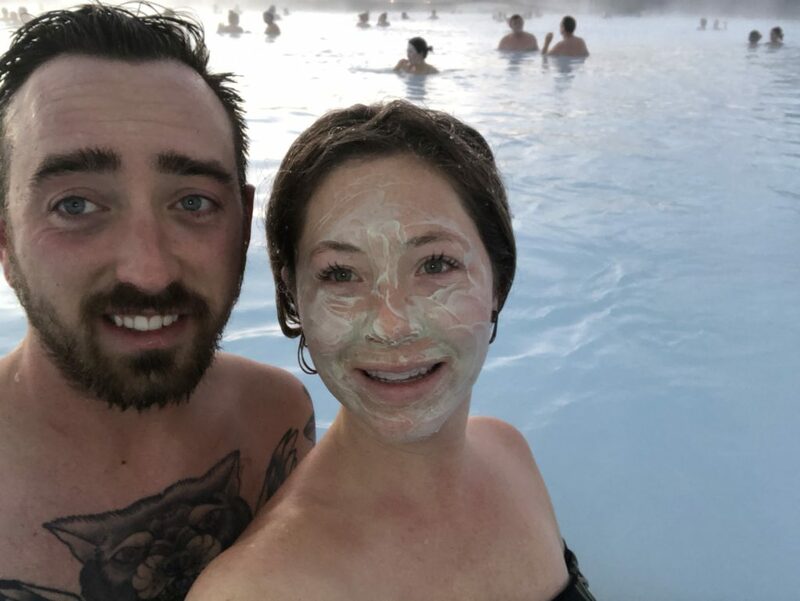 We then made our way to our stay at the Silica Hotel at the Blue Lagoon. Some tourists begin their stay here. I’m SO glad that we ended it here. 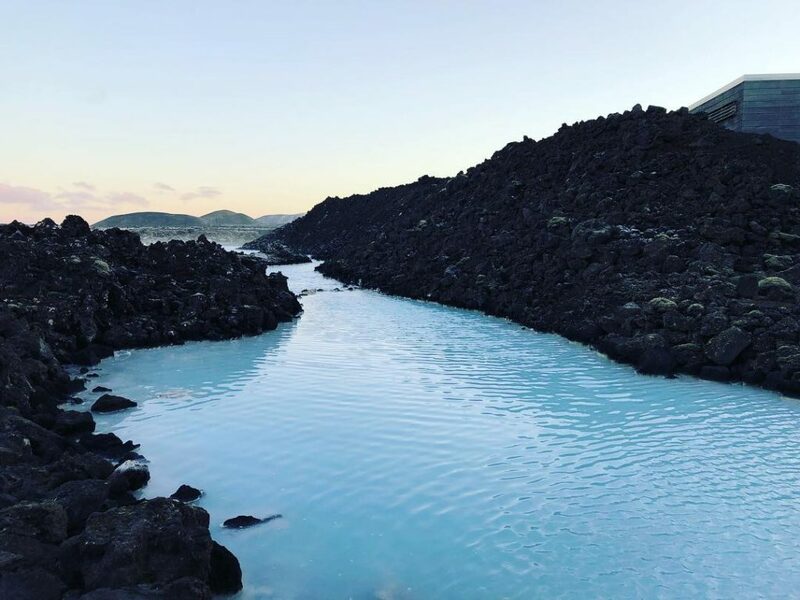 It felt so good to relax in the Silica Lagoon and know that we had nowhere else to be. Our stay here was worth every penny. The rooms are perfect, every guest receives complimentary premium admission to the Blue Lagoon and you have your very own lagoon to enjoy. 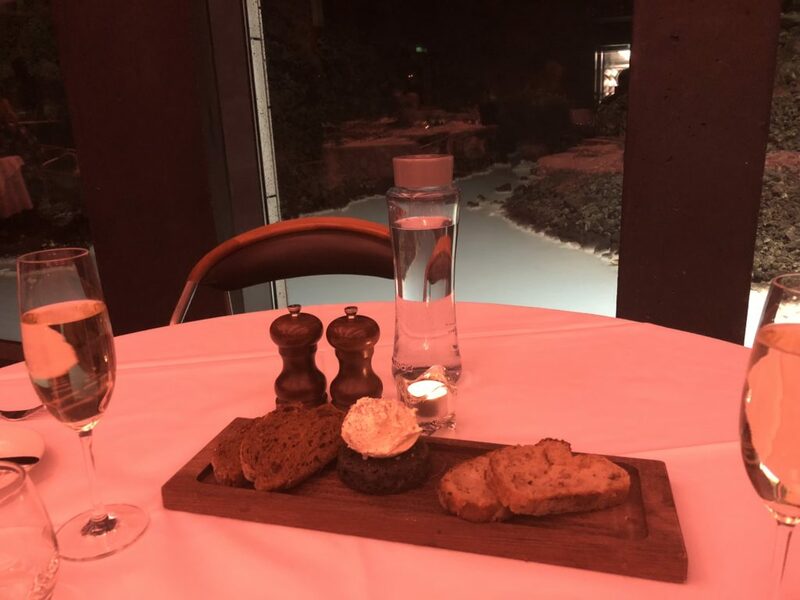 During our stay we made reservations at Moss restaurant for dinner. The food was pretty good and the views were awesome. The next morning, we got up early and ate breakfast in our hotel. 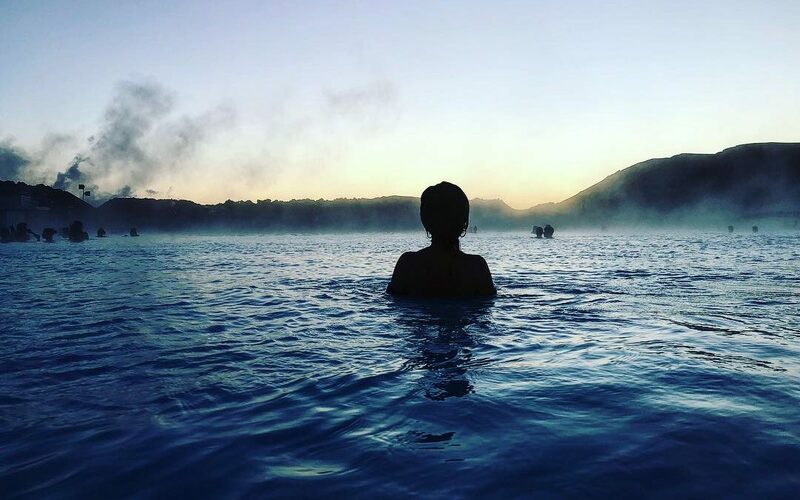 We then drove over to the infamous Blue Lagoon (the biggest geothermal pool of them all) while it was still dark out. I highly recommend enjoy it both in the dark and the light if you can. With premium admission, we were able to skip the line, enjoy two face masks, a drink and so much more. I had always dreamed about coming here. 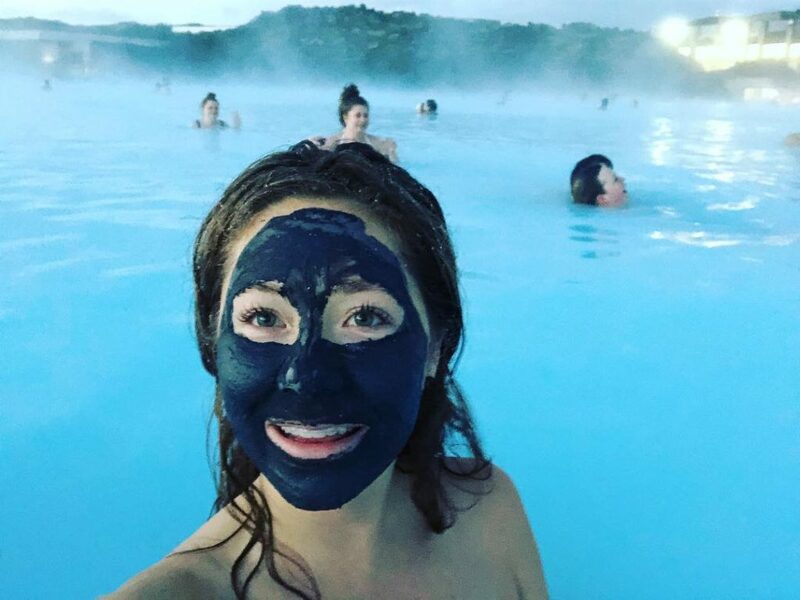 The water is toasty and just as milky blue as the pictures you see on Instagram. The silica is super soft beneath your feet. Of course, I was in heaven with my face masks and it was a lot of fun to take pictures with them on. It honestly felt like a dream to be living it. 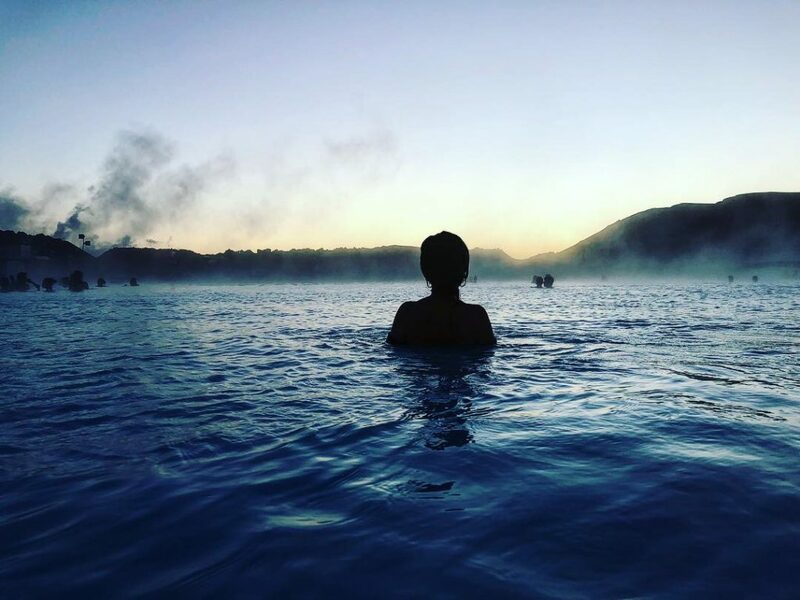 We enjoyed just enough time at the Blue Lagoon and before we knew it was time to fly home. 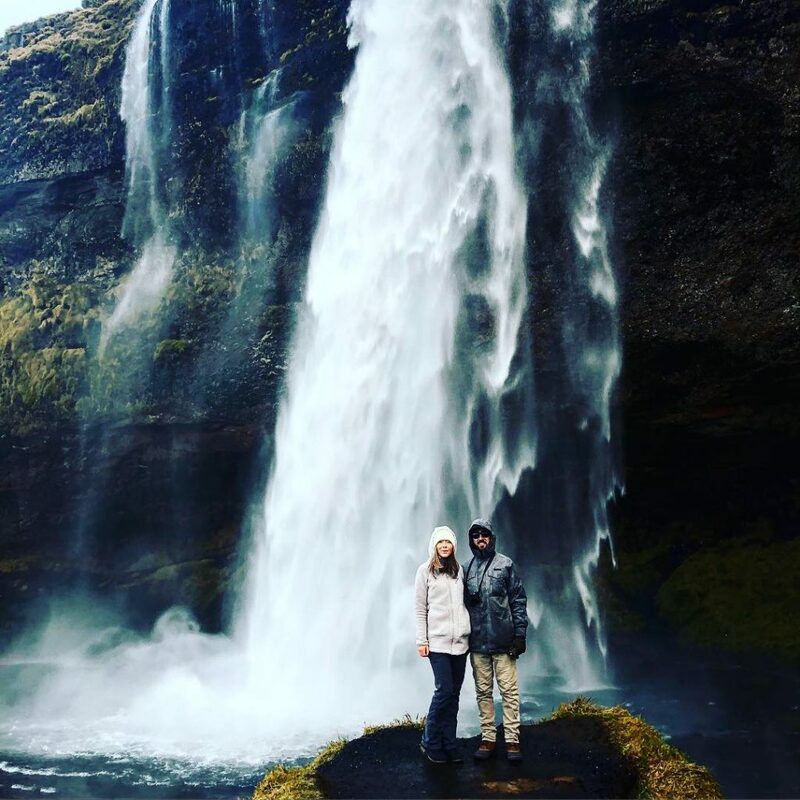 I would highly recommend booking a trip to Iceland! We did and saw so much in eight days. To me, there really is nothing better than road tripping, exploring new land with the ones I love. There are a few more helpful tips that I wanted to share. *I planned our trip for this time of year because I had read that we were more likely to see the Northern Lights. 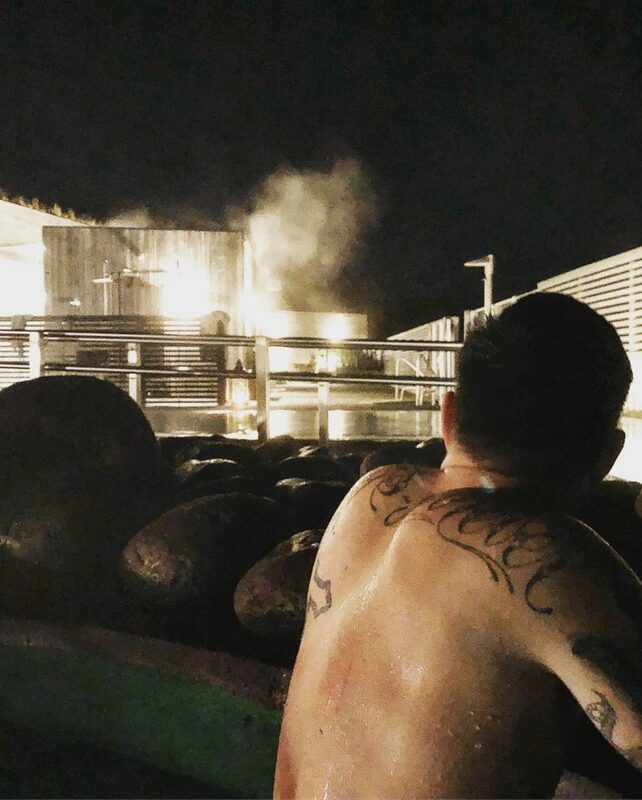 (Also, Matt wanted a cold vaca…and oh he got one!) I actually went there thinking it was guaranteed. It is definitely not. I will admit, it was tough to come home without seeing them. BUT, that just means that I get to plan my next trip to another beautiful destination in hopes of seeing this elusive phenomenon. *Car insurance is huge. Make sure you pick the one that works best for you and also make sure that you plan this into your budget. *We visited at the end of November into December. 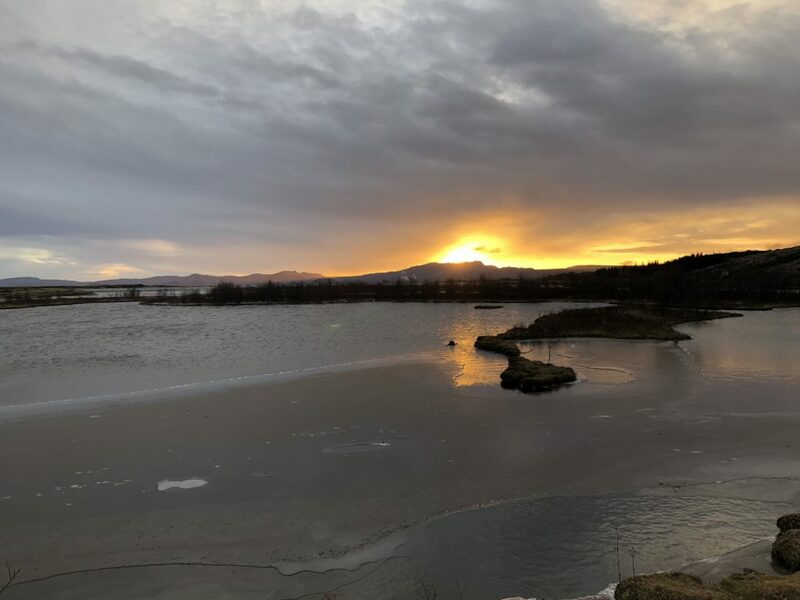 You will have very limited daylight if you go this time of year. So do your best to plan your itinerary with this in mind. *This was the first trip that I ever went on that I didn’t pack for fashion. Instead, I packed for warmth. We went to REI prior to our trip to buy multiple wool items. It wasn’t as cold as we thought it would be, but the layers were perfect. Also, purchase a box of HotHands hand warmers before you go. I’m SO glad that I did this, as they were easy to throw in my pants pockets, boots and jackets. 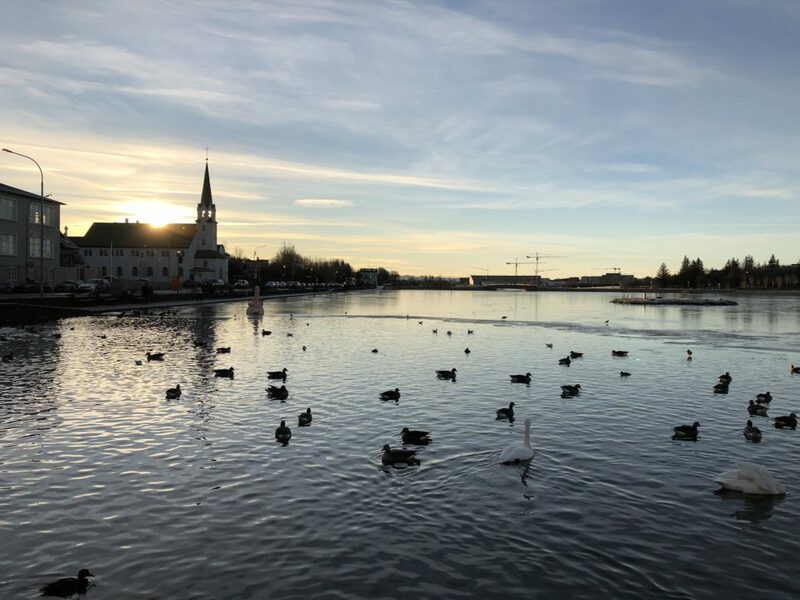 *The currency is easily exchanged in Iceland and banks are not difficult to find. I exchanged our currency in the US and payed a higher rate. Also, you will be using the Icelandic Krona which seems daunting at first, but it’s not! *Last but not least, when purchasing souvenirs…I would highly recommend purchasing a wool item from one of the local craftswomen. They make beautiful hand crafted designs that you won’t find anywhere else. One of the headbands that I purchased was so unique that they asked that I not post a picture of it online because they don’t want anyone to steal their design. It’s the warmest headband I own. Once in a while as you drive along the countryside, you will come across a wool shop. Don’t hesitate to stop! This covers just about everything! If you have any questions, don’t hesitate to comment or send me an email. 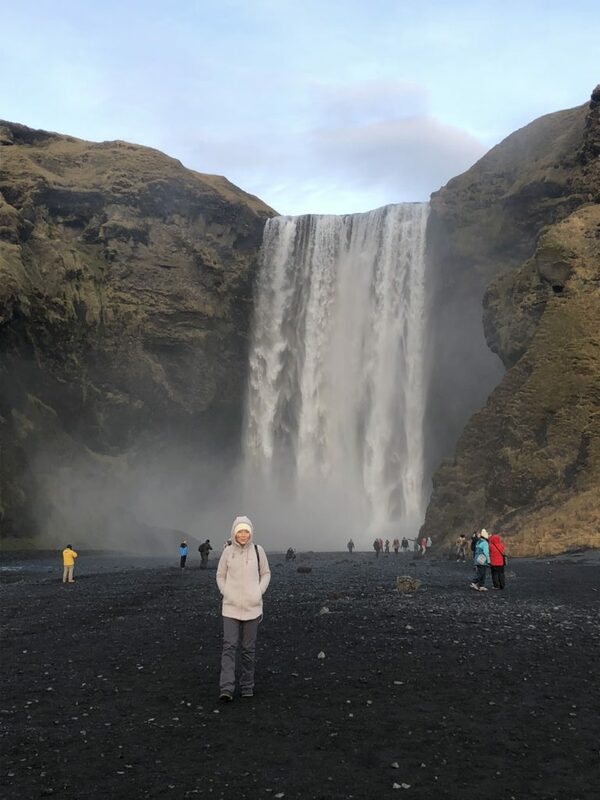 I do hope that you have the land of fire and ice on your bucket list…you are in for the trip of a lifetime!